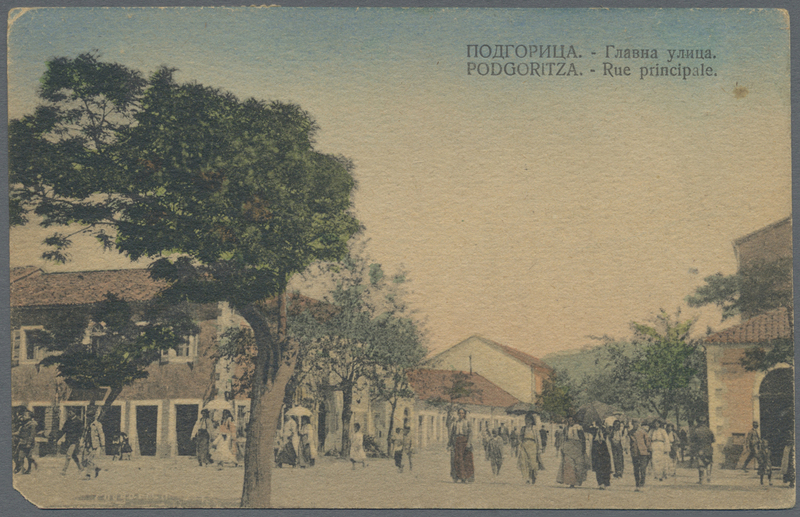 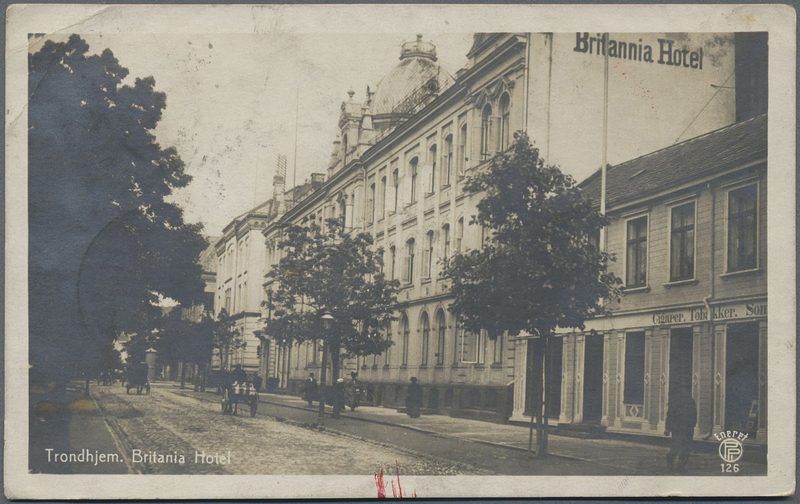 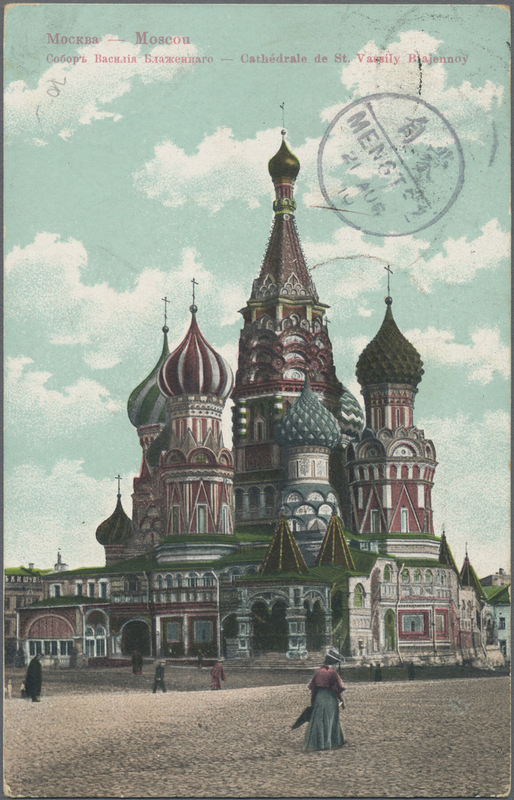 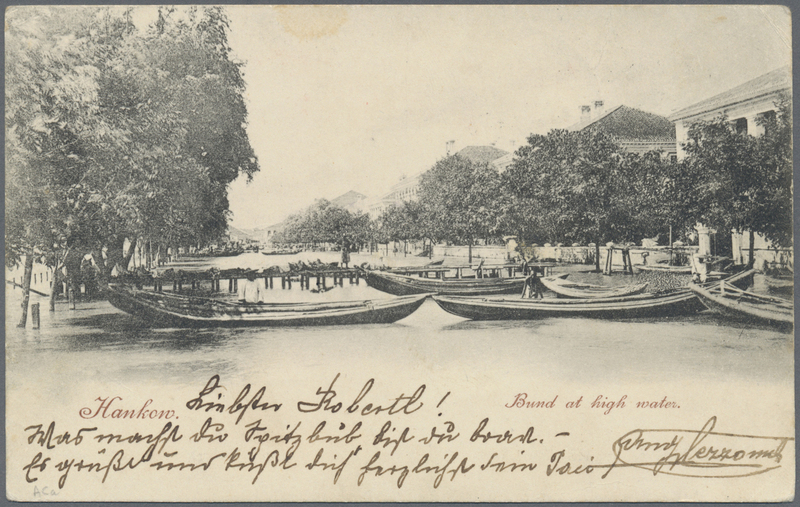 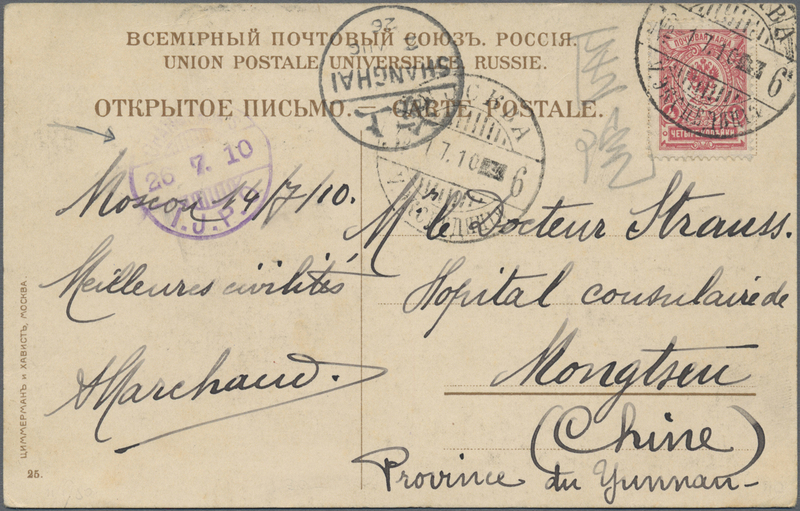 6670 Ansichtskarte (Picture postcard) 1910, Russia, 4 K. tied "Moscow 1.7.10" to ppc via "CHANGCHUN-S I.J.P.O. 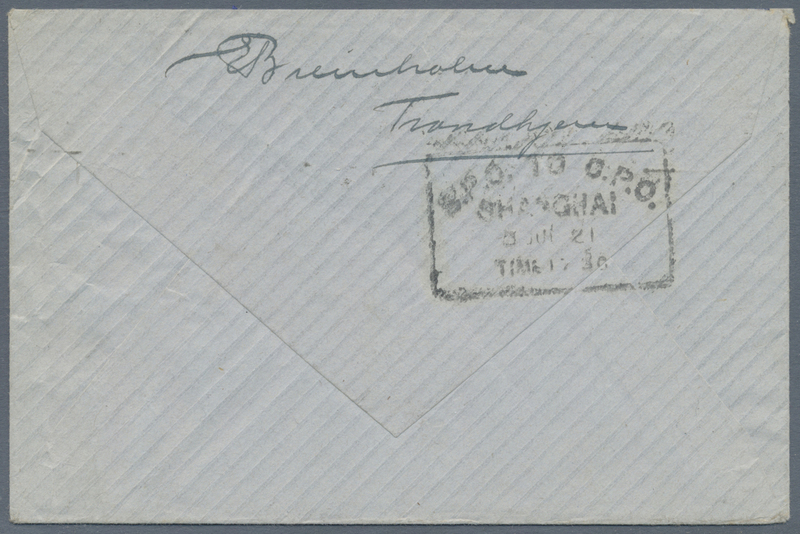 26.7.10" and Shanghai to "Mongtseu / Province de Yunnan" w. arrival "MENGTSZ 26 AUG 10" on reverse. 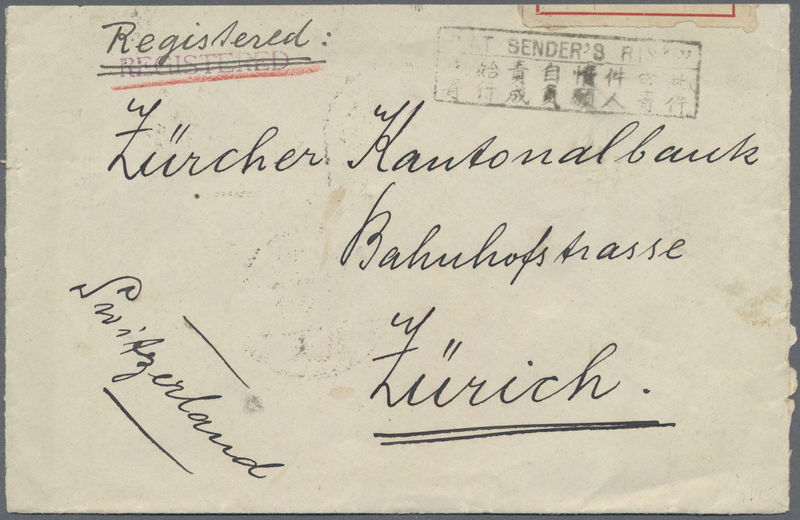 6672 Ganzsache (Complete) 1910, Swiss Postal Stationery 5 C. with 5 C. tied to "MONTREUX - ZWEISIMMERN" postmarks to Missionar Maier in Hsing-ning, China, transit postmarks of "SWATOW" and "SHANGHAI", and Arrivial Postmark "Hsing-ning". 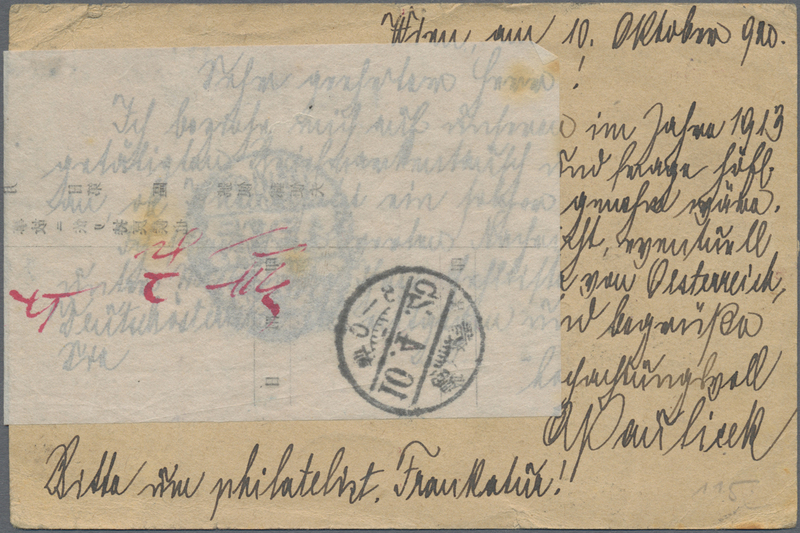 6673 Ganzsache (Complete) 1910, Swiss Postal Stationery 5 C. with 5 C. tied to "ERIZ" postmarks to Missionar Maier in Hsing-ning, China, transit postmarks of "SWATOW" and "SWATAU DEUTSCHE POST", and Arrivial Postmark "Hsing-ning". 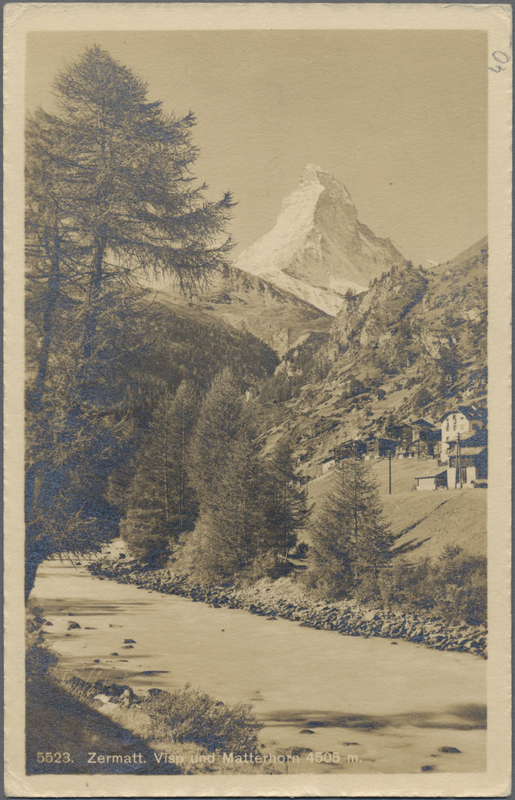 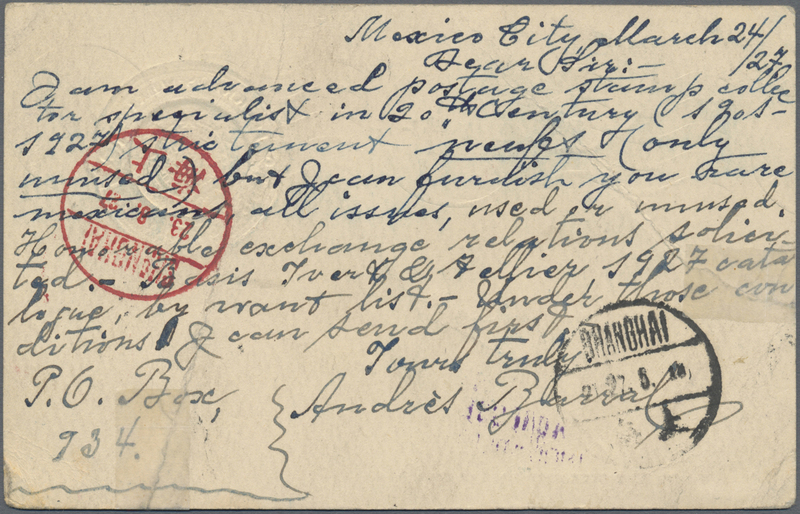 6674 Ansichtskarte (Picture postcard) 1911, Switzerland, 10 C. tied "ZERMATT 4.IX.11" to ppc (Visp and Matterhorn) via Siberia to "SHANGHAI12 22 SEP 11" and local delivery, also messengers mark. 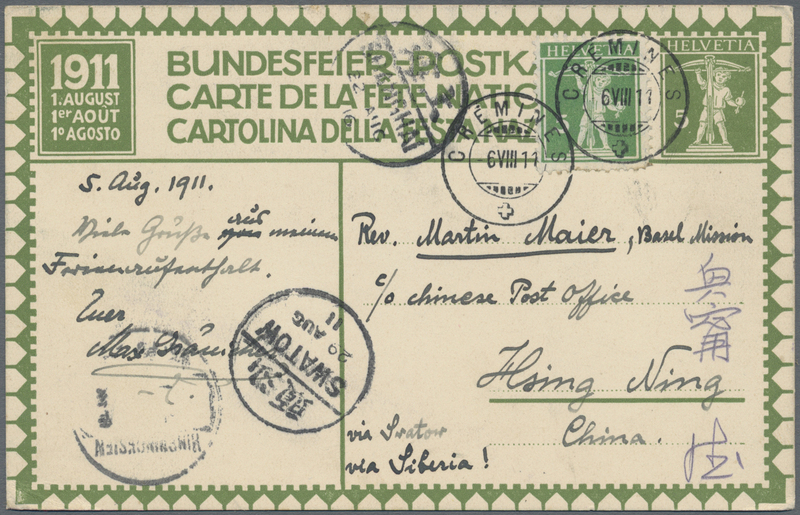 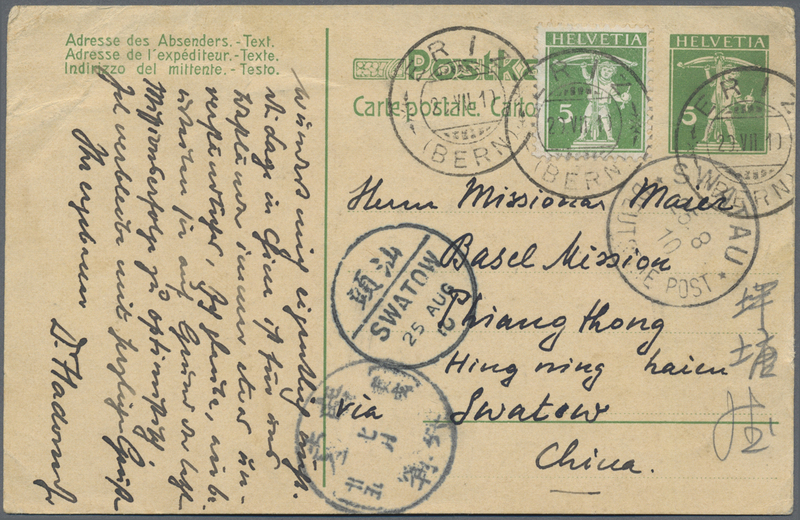 6675 Ganzsache (Complete) 1911, Swiss Postal Stationery 5 C. with 5 C. tied to clear "CREMINES" postmarks to Missionar Maier in Hsing-ning, China, transit postmarks of "SWATOW" and "SHANGHAI", and Arrivial Postmark "Hsing-ning". 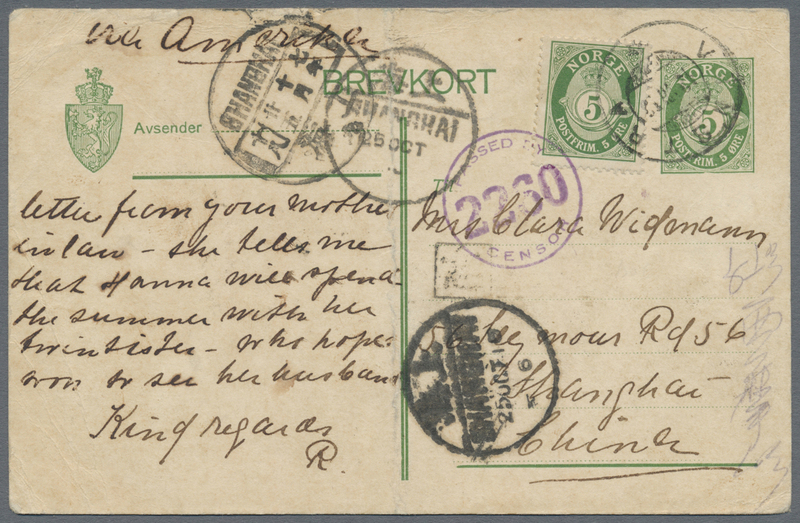 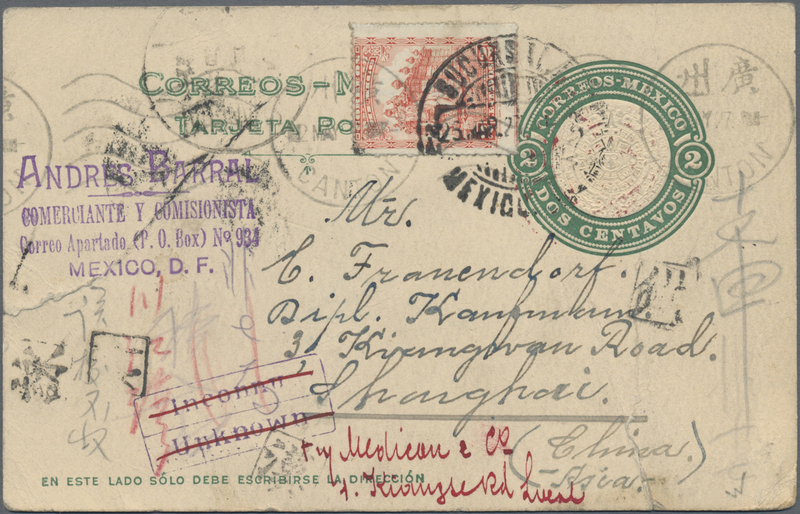 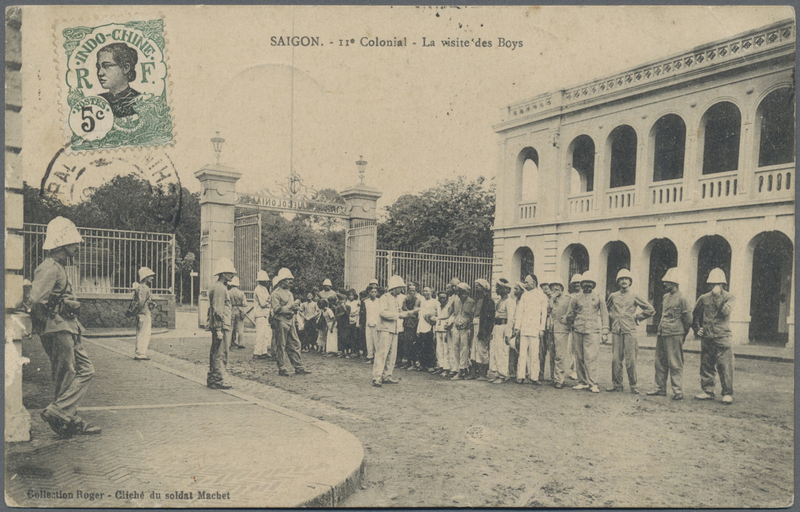 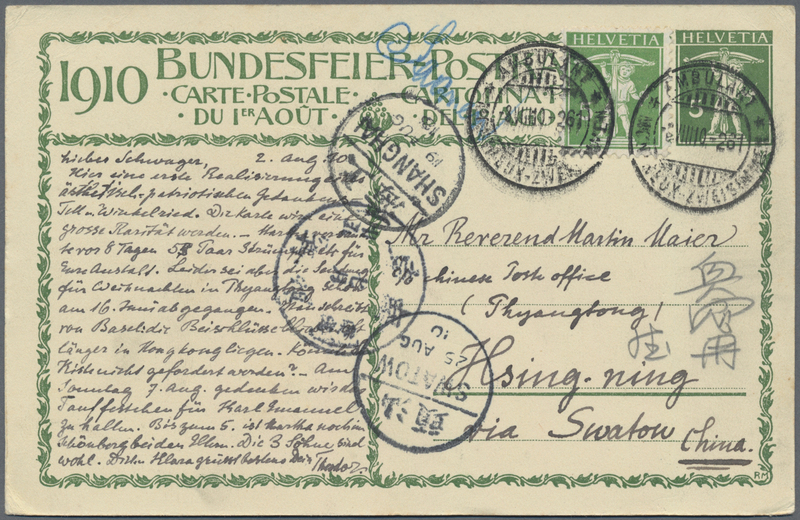 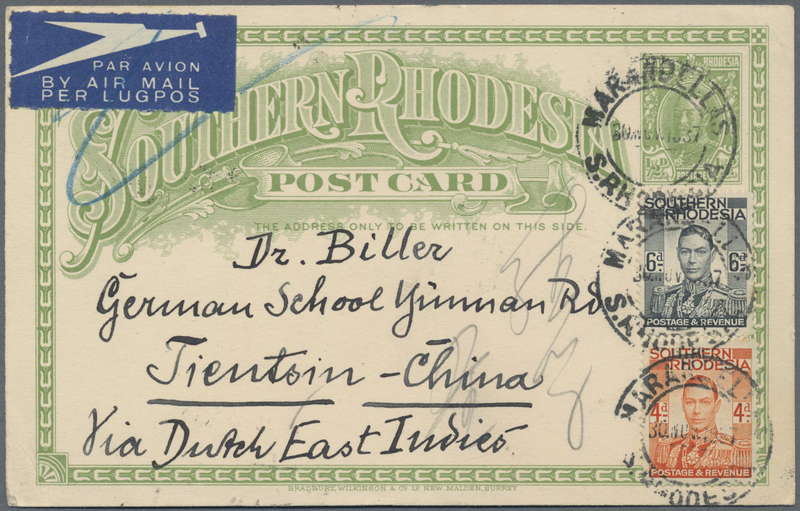 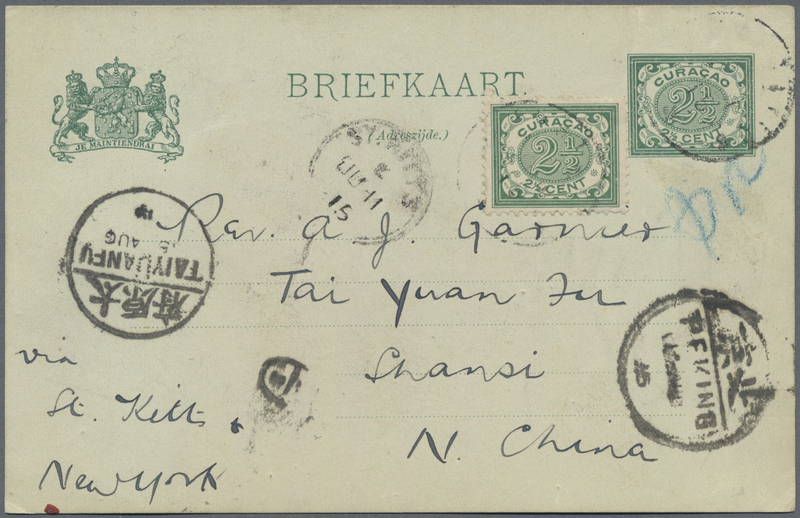 6676 Ganzsache (Complete) 1915, Curacao postal stationery card 2 1/2 C. green upgraded with Yvert 31, 2 1/2 C. green tied by St. Eustatius date stamp "June 5th 1915" addressed to Shansi, North China endorsed "via St Kitts & New York" with St. Kitts transit "JU 11" with Peking and Taiyuanfu receiver "15 AUG" on face. 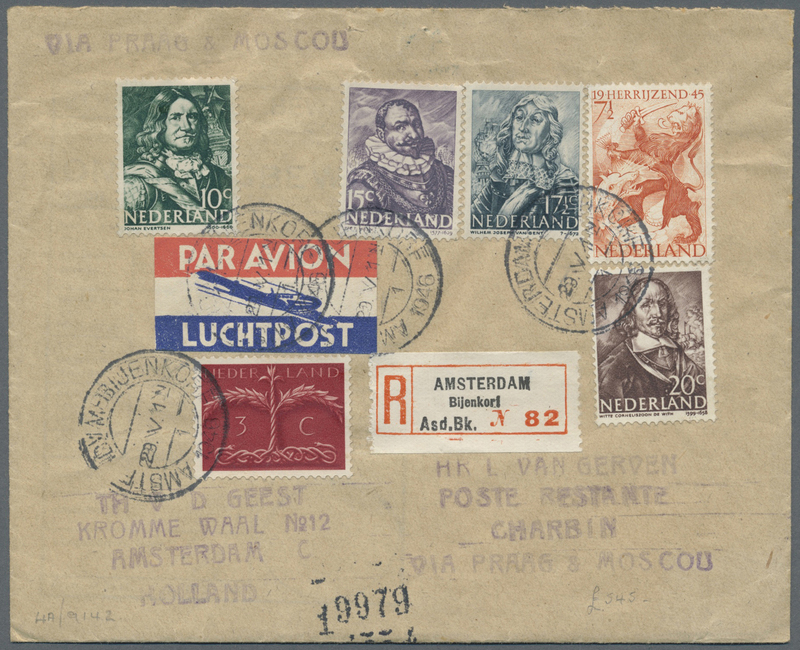 Remarkable item from this small Caribbean Dutch Island to China. 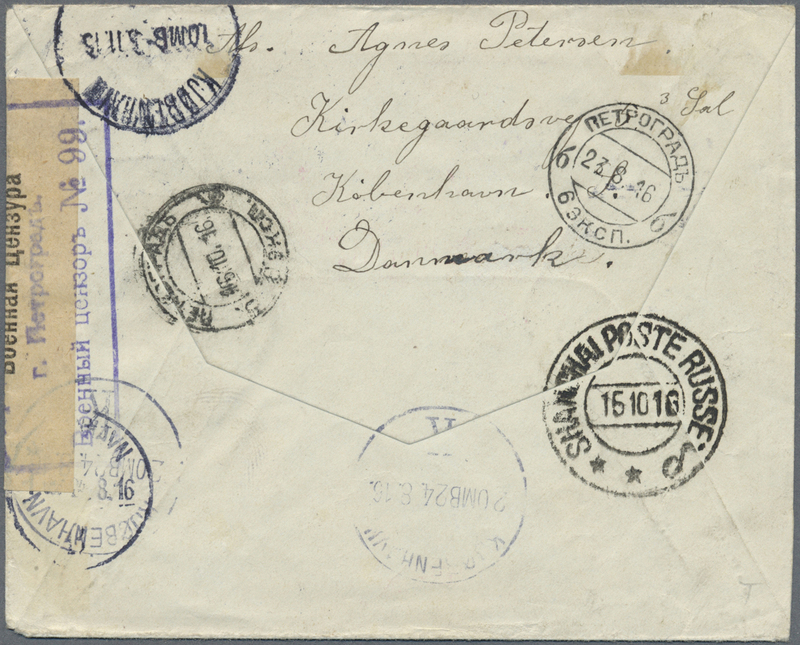 6677 Brief (cover) 1916, Denmark, 5 Oe. 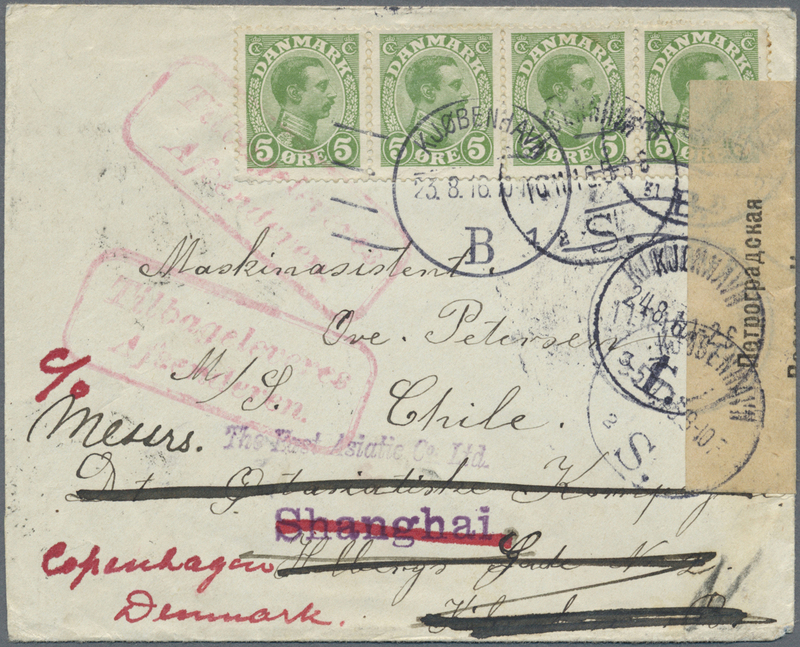 green "KJOBENHAVEN 23.8.16" to ship "Chile" at Shanghai, via Russia with censor tape "PETROGRAD 23.8.16", "SHANGHAI POSTE RUSSE 15.10.16", readdressed to Denmark, via "PETROGRAD 16.10.16" and back "KHOBENHAVN 3.11.16". 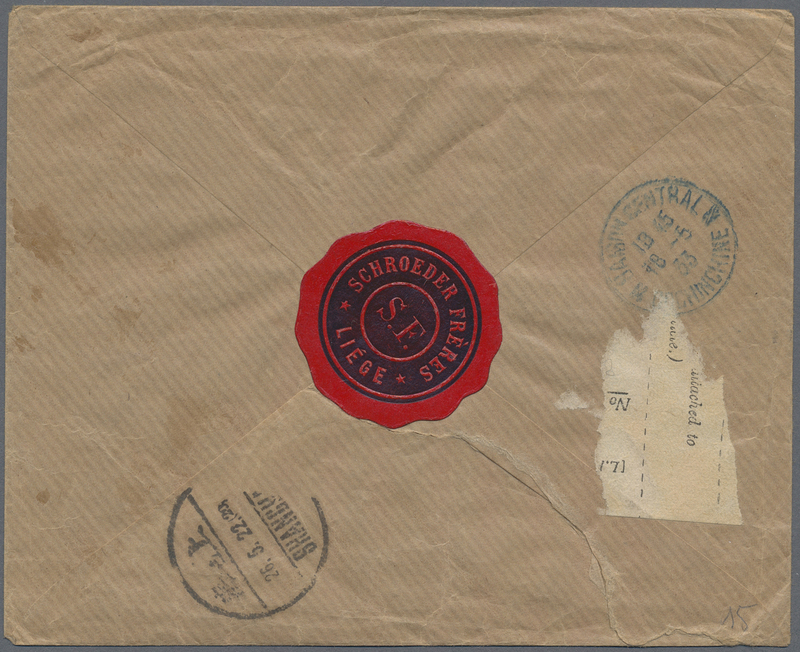 Boxed red "Tilba geleves afsenderen" (return to sender). 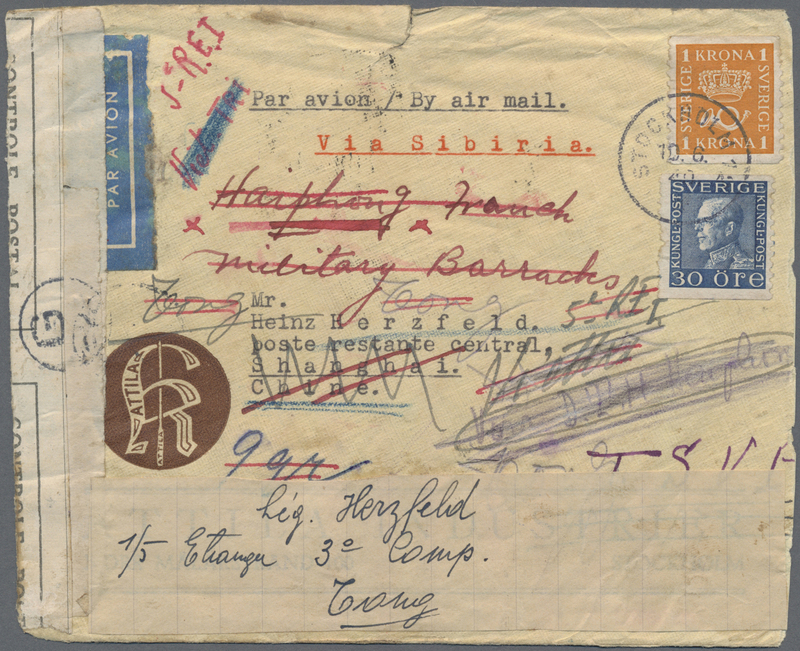 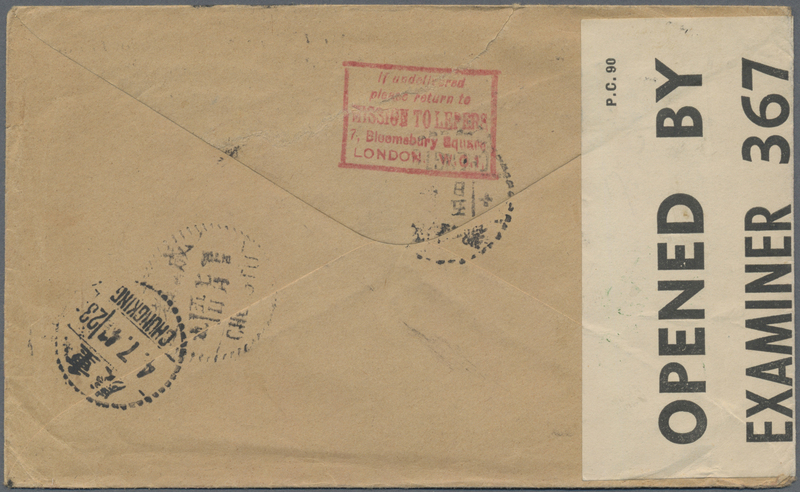 6678 Brief (cover) UK, 1917, cover KGV 2 1/2d tied "LONDON JUN 11 17" to cover to Shanghai, then fwd. 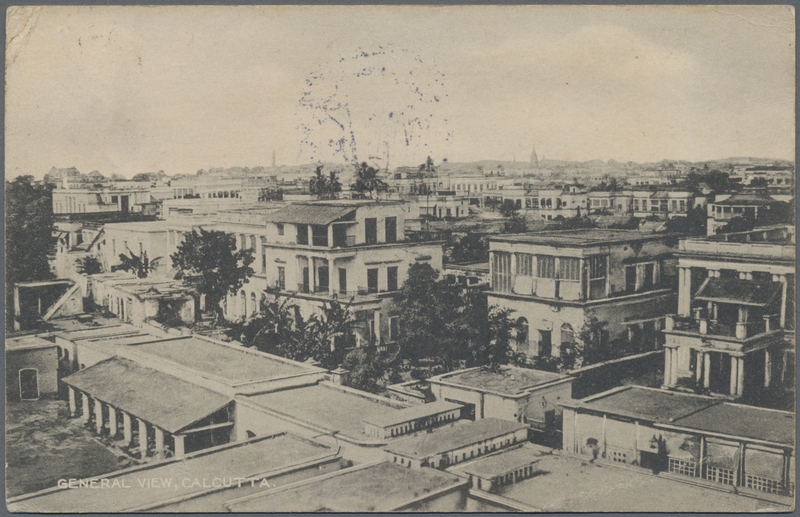 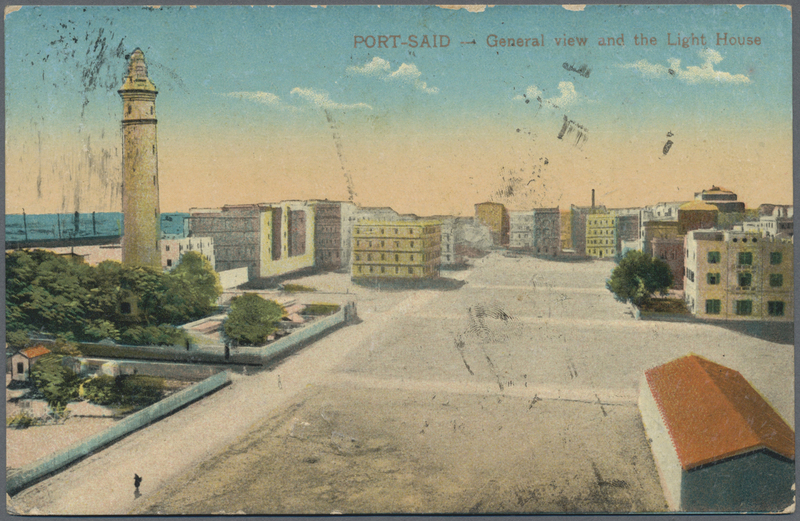 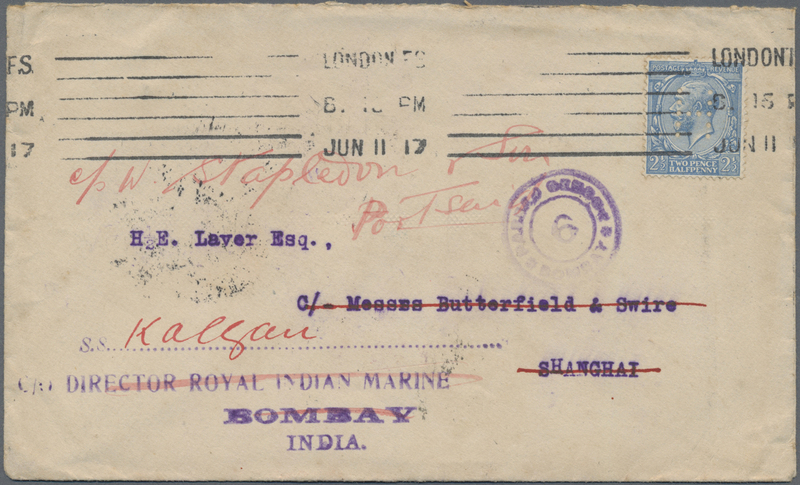 c/o Bombay/India endorsed "s.s. Kalgan"then to Port Said/Egypt, seven transit marks on reverse, a well travelled cover, violet "BOMBAY PASSED CENSOR 6". 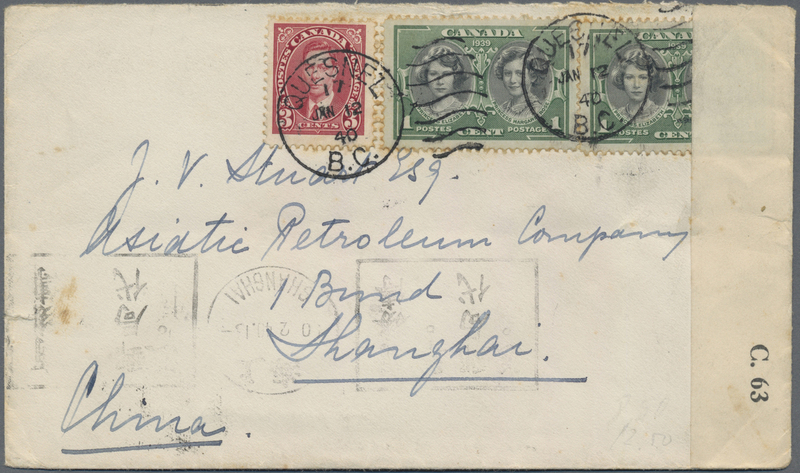 6679 Brief (cover) 1917, India, KGV 1 A. tied "HATKHOLA CALCUTTA 14 MAY 17" to ppc w. red framed "PASSED CENSOR CALCUTTA" plus icpl. 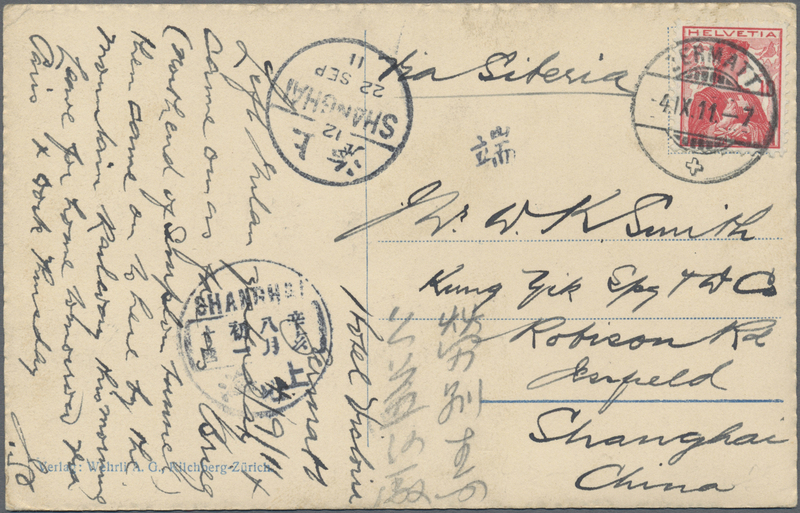 censor dater to Kiaochow, transit "SHANGHAI" intl. 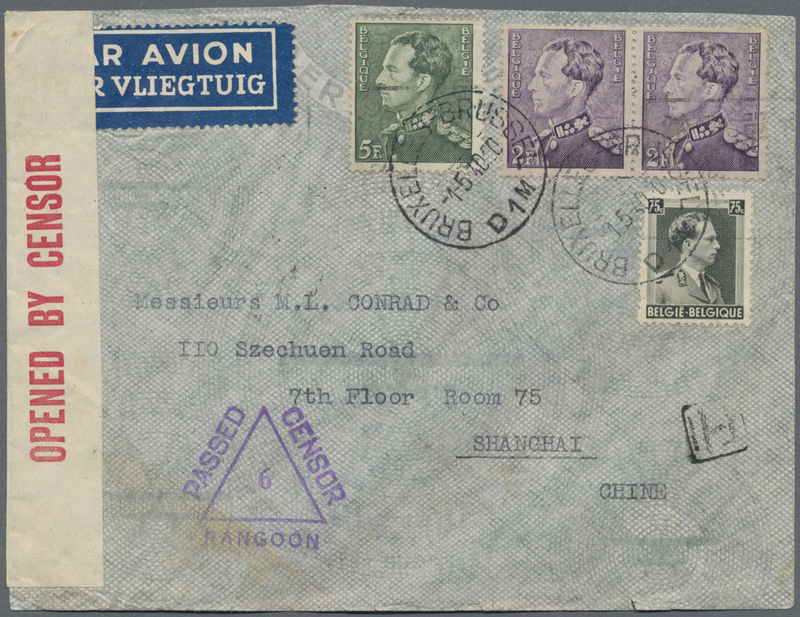 dater and arrival boxed dater "Shantung Kiaochow". 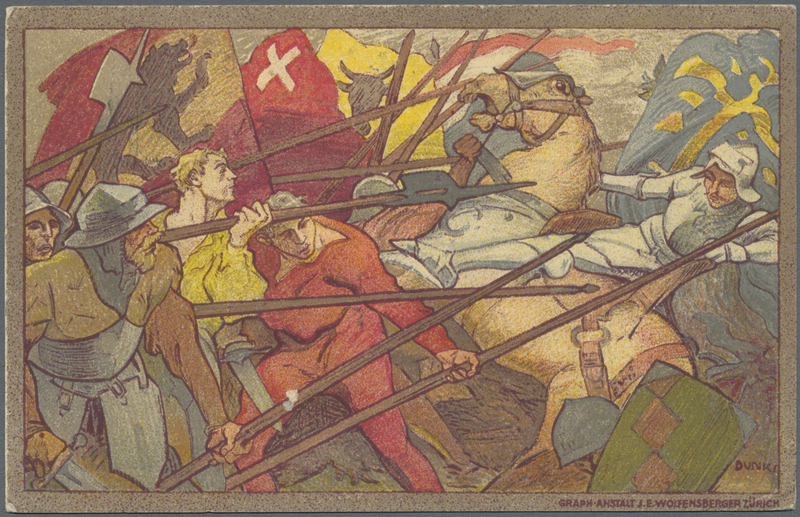 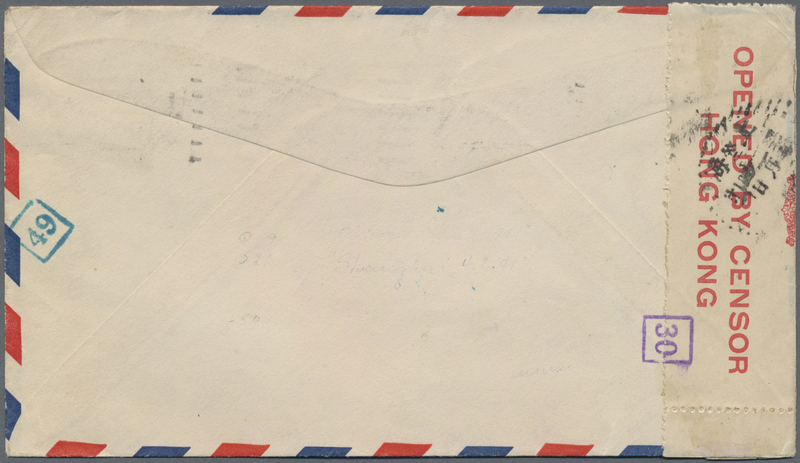 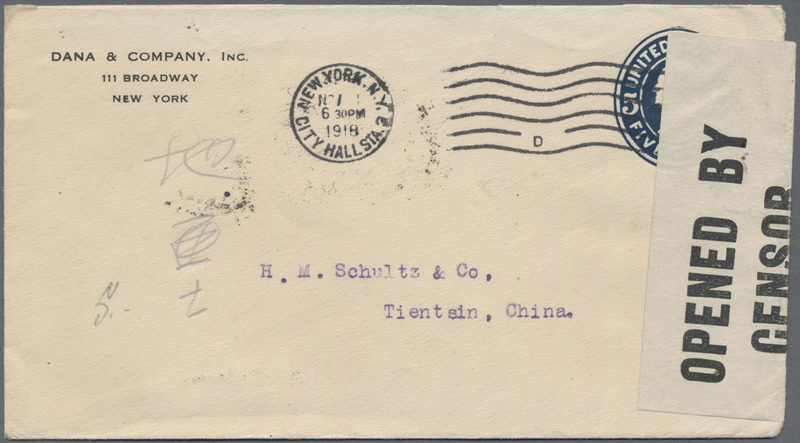 6681 Ganzsache (Complete) 1918, USA, stationery envelope 5 C. "NEW YORK CITY HALL STA. 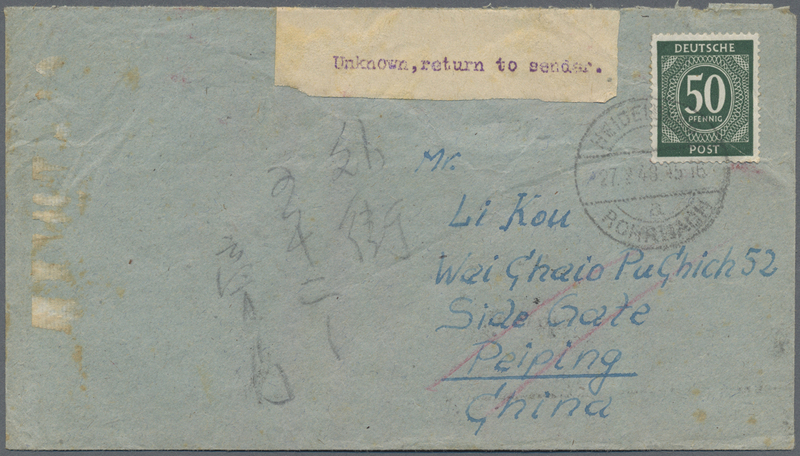 NOV 1 1918" to Tientsin with US censor tape and tie-mark, backstamps"TIENTSIN B 20 DEC 18" resp. 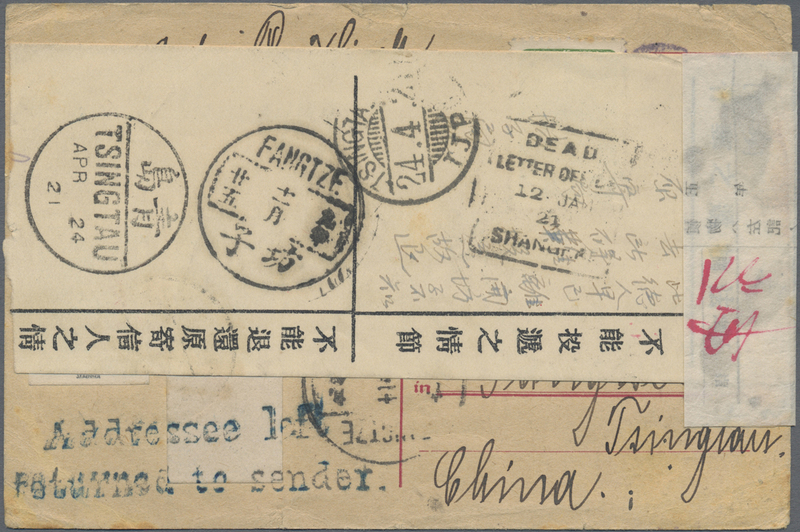 same day "TIENTSIN 13". 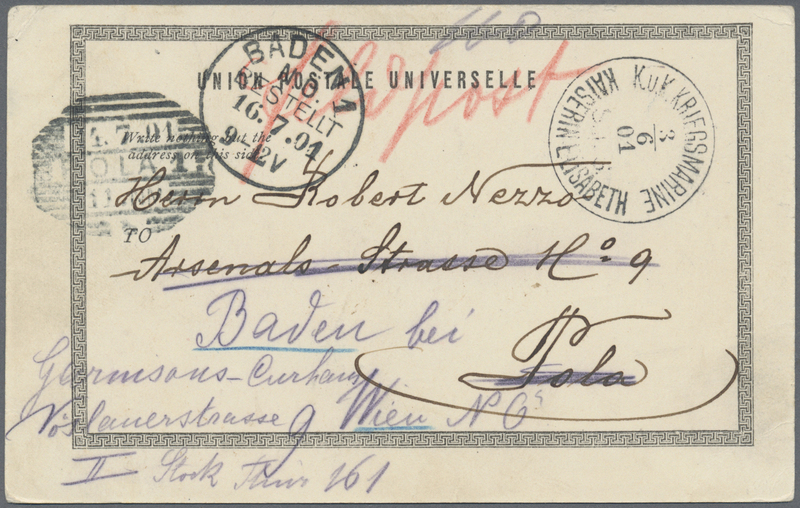 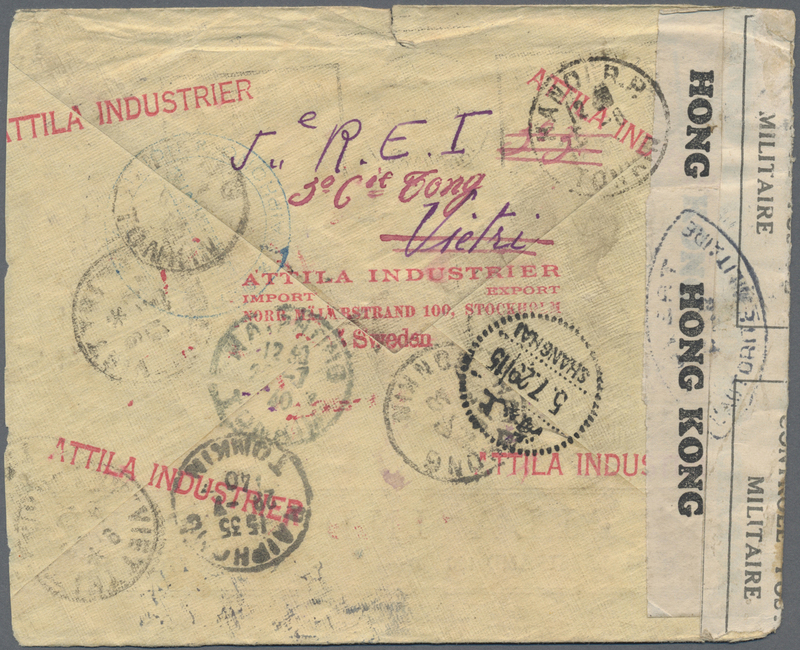 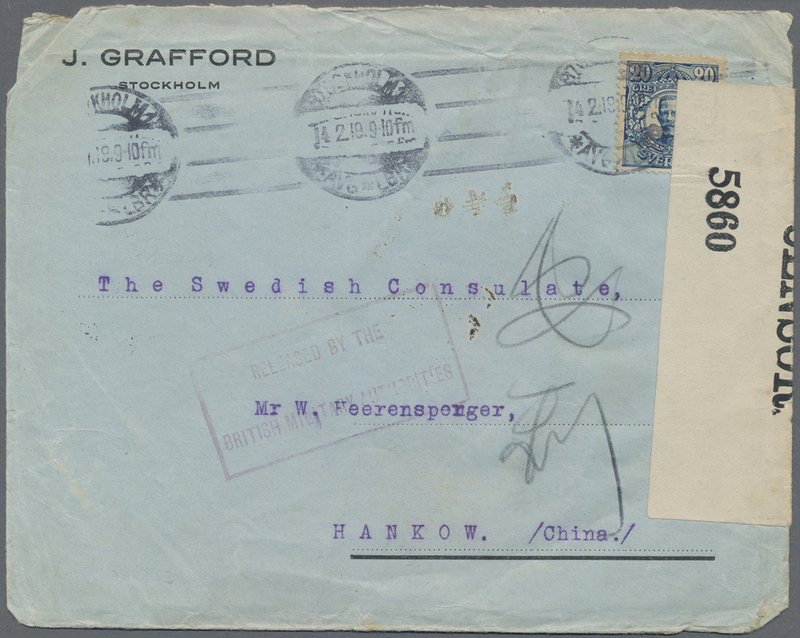 6686 Brief (cover) 1921, Norway, 40 K. tied Trondheim to cover to Shanghai with on reverse "BPO TO CPO" of Shanghai BPO on reverse. 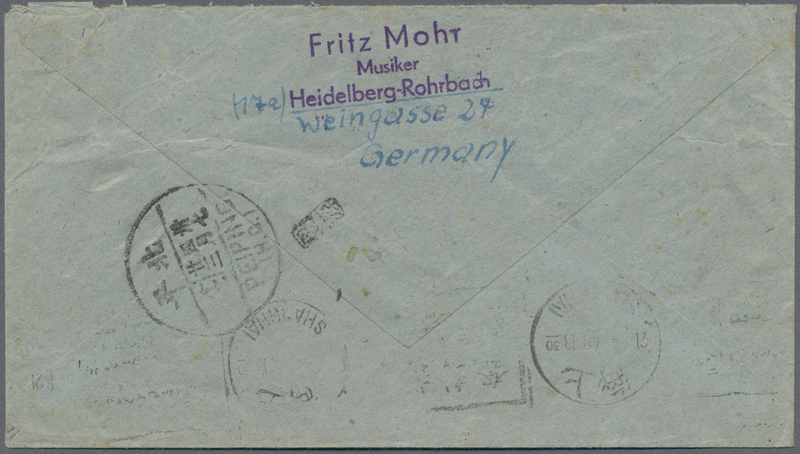 6687 Ganzsache (Complete) 1921, "TSINGTAU APR 24 21" chinese liaison p.o. 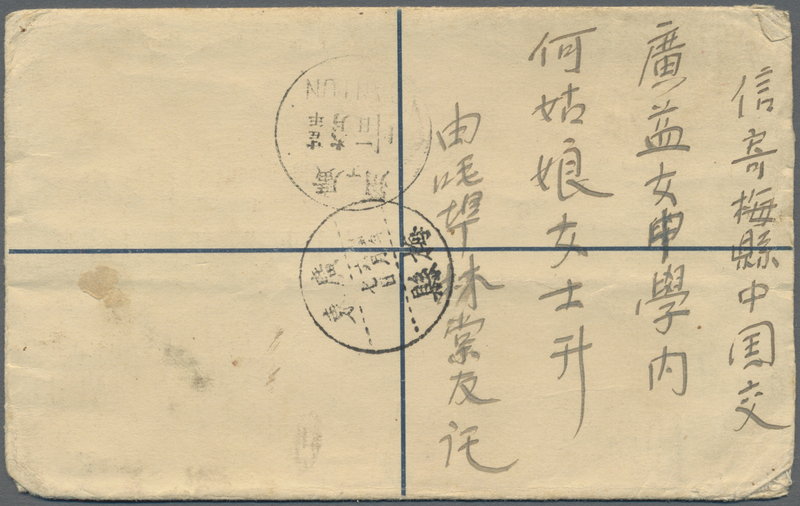 and "TSINGTAU 24.4.21 I.J.P.O." 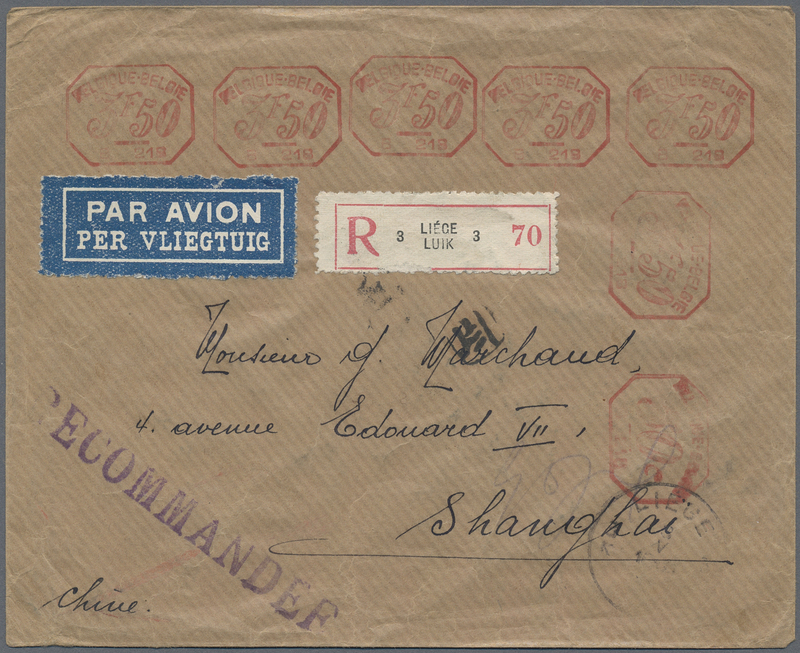 japanese p.o. 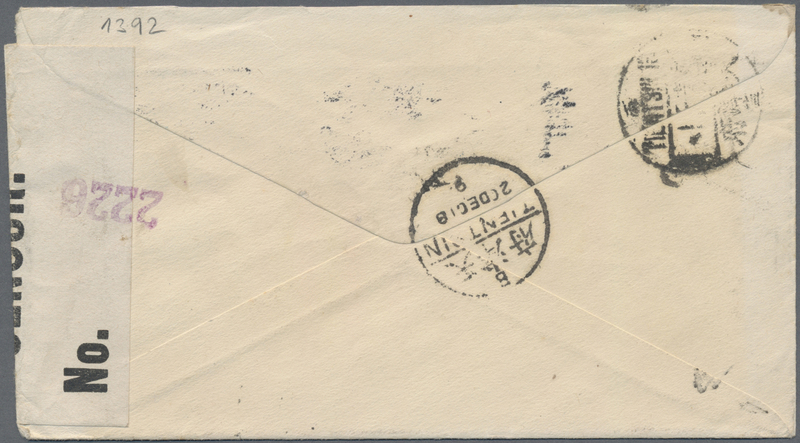 also native style jap. 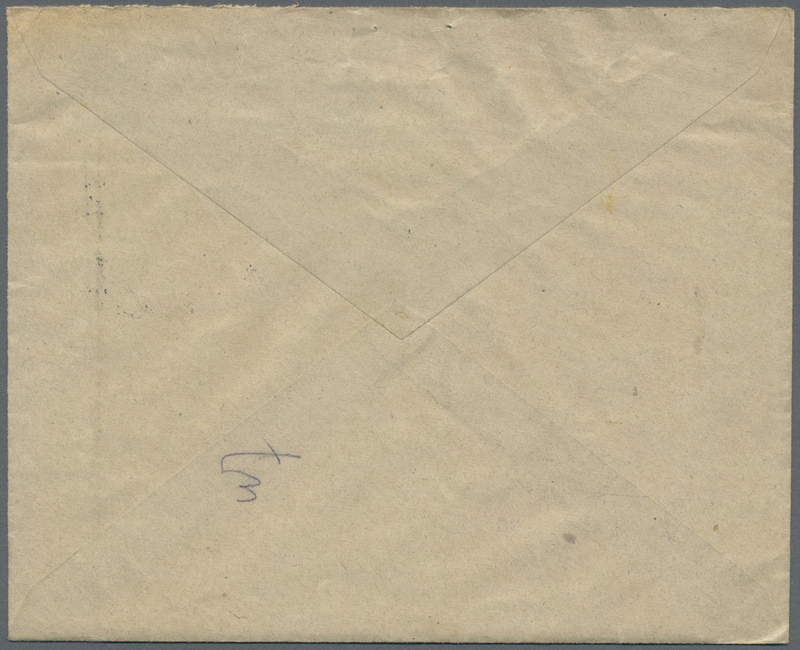 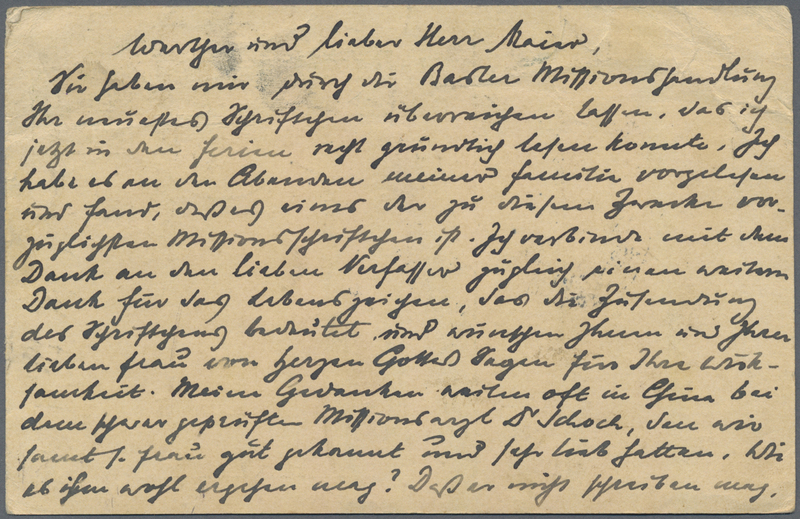 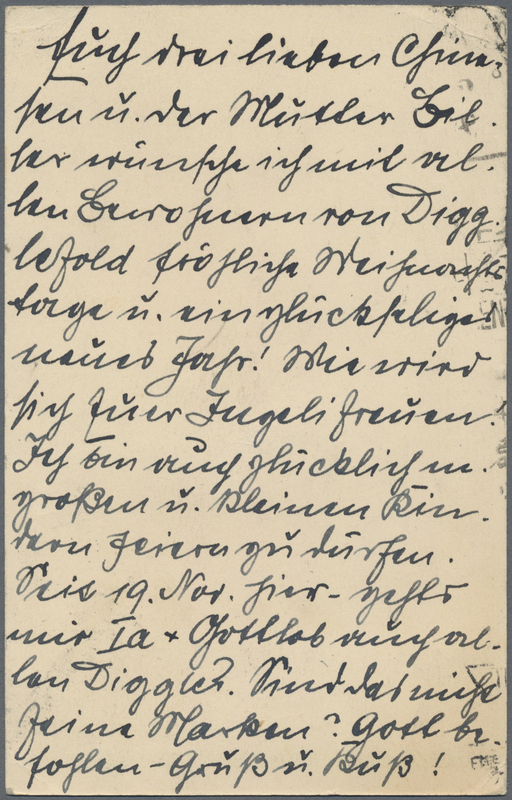 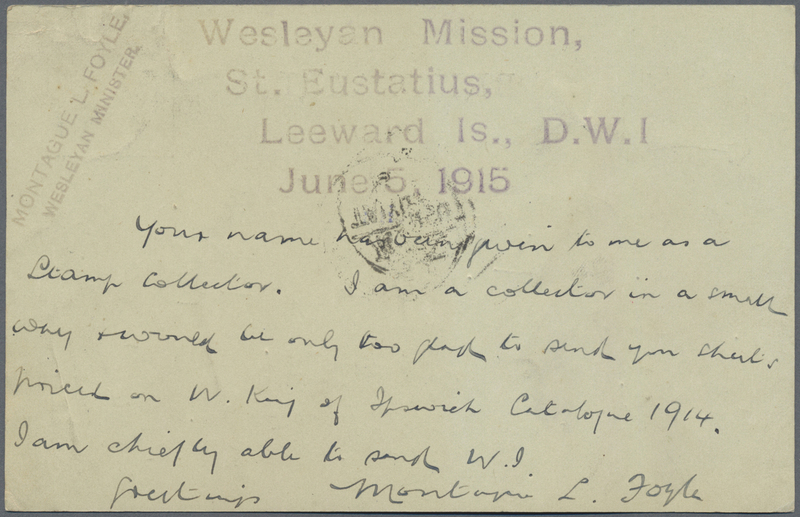 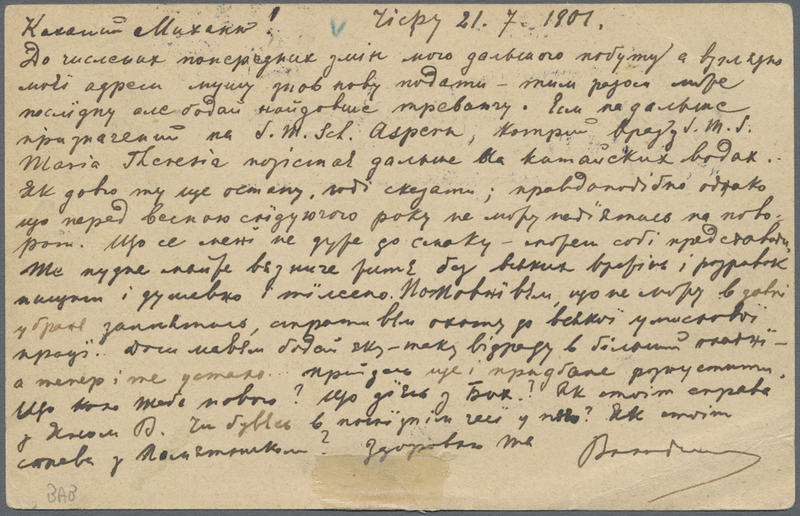 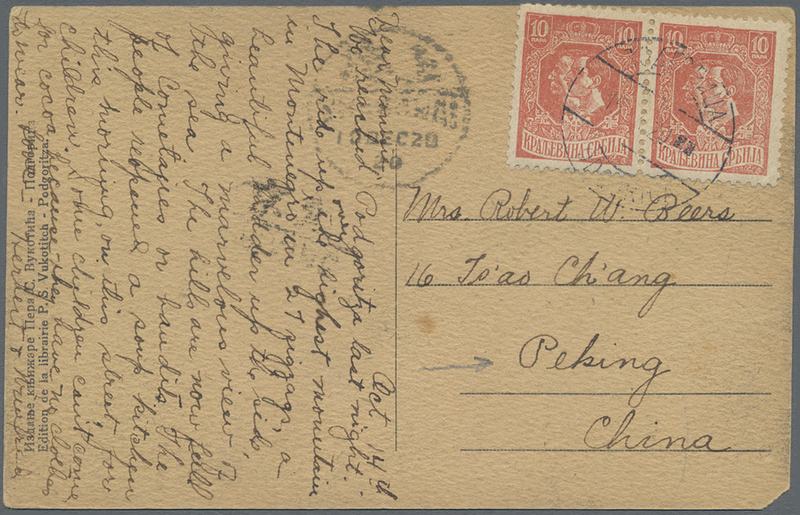 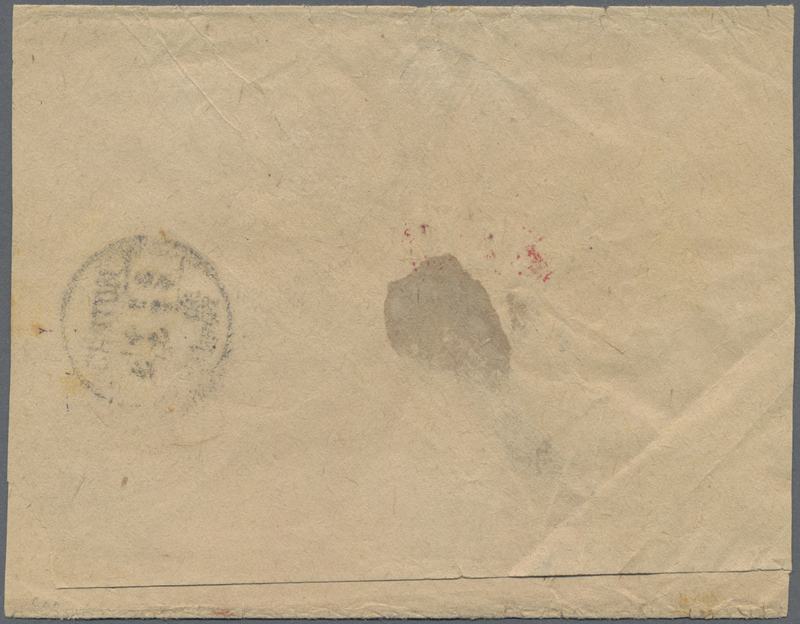 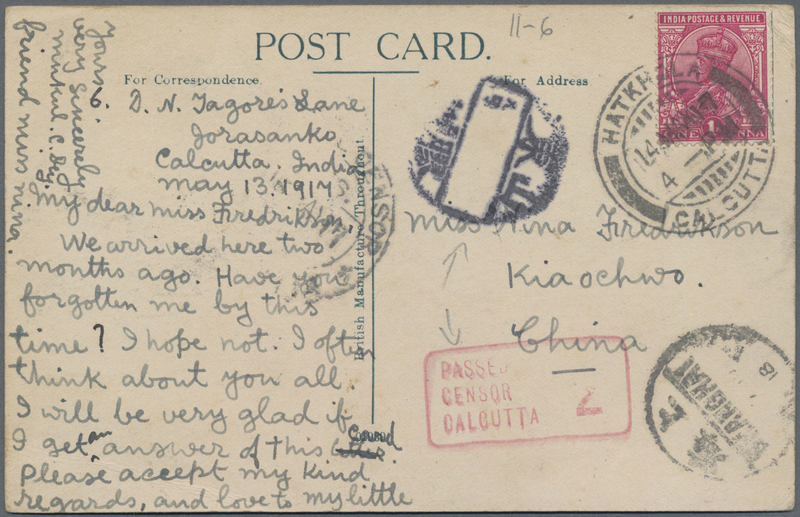 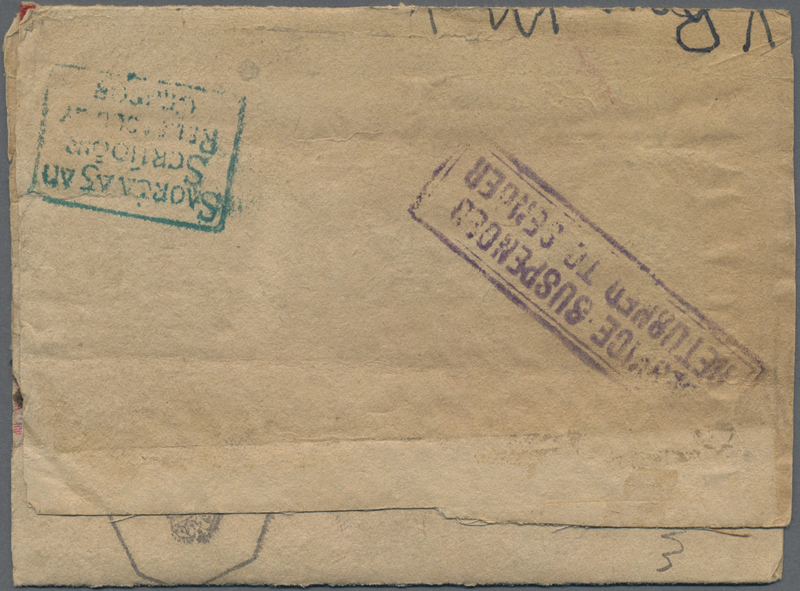 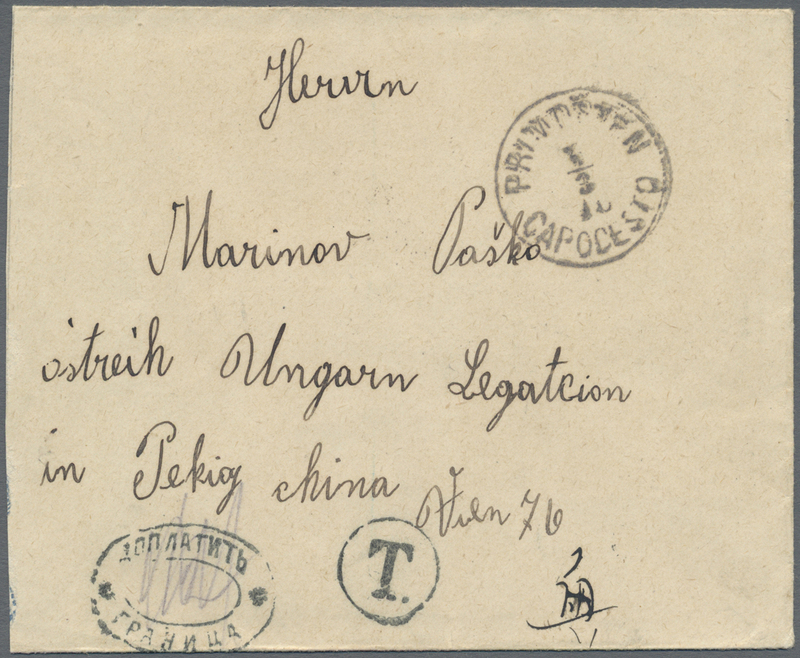 "Tsingtau 10.4.25 "on paper tags of uprated card from Austria to Fangtze/Shantung w. Nov. 1920 arrival, fwd. 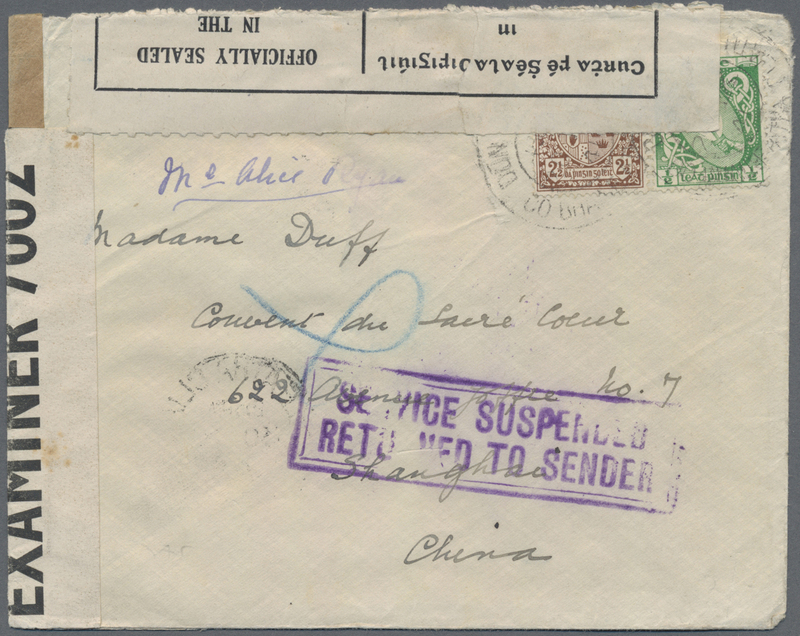 to Shanghai w. boxed violet "Parti/Left" tied by "SHANGHAI 22 NOV 20" dater, also, boxed "DEAD LETTER OFFICE SHANGHAI JAN 12 21", then fwd. 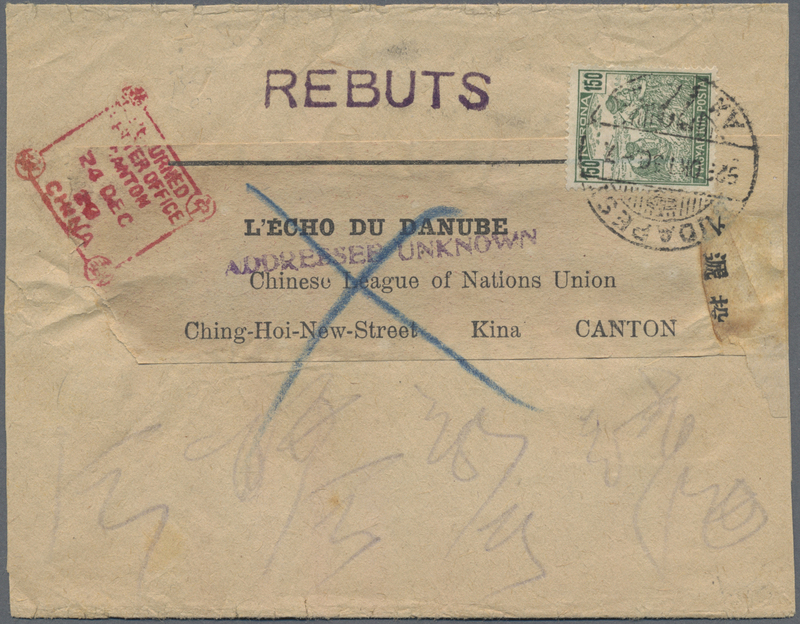 to Tsingtau but japanese type boxed red "INCONNU" resp. 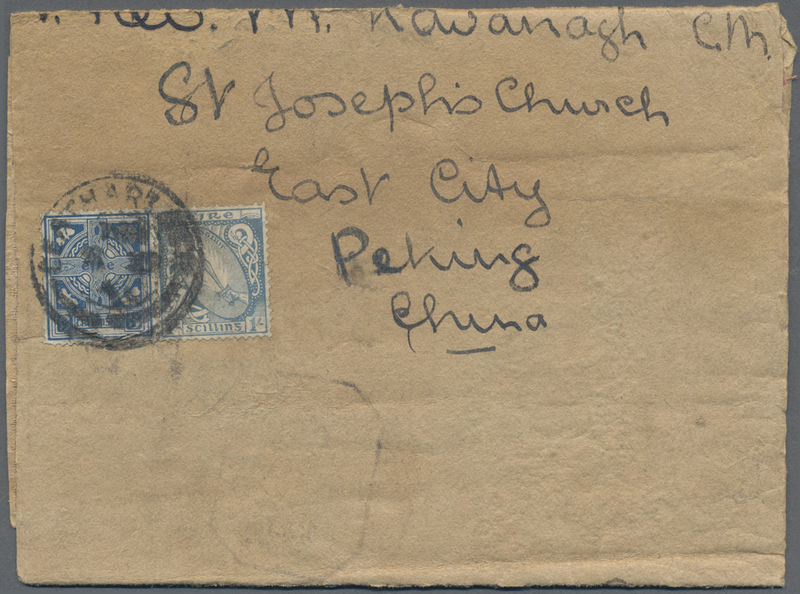 blue two line "Addressee left/returned to sender", amazing item. 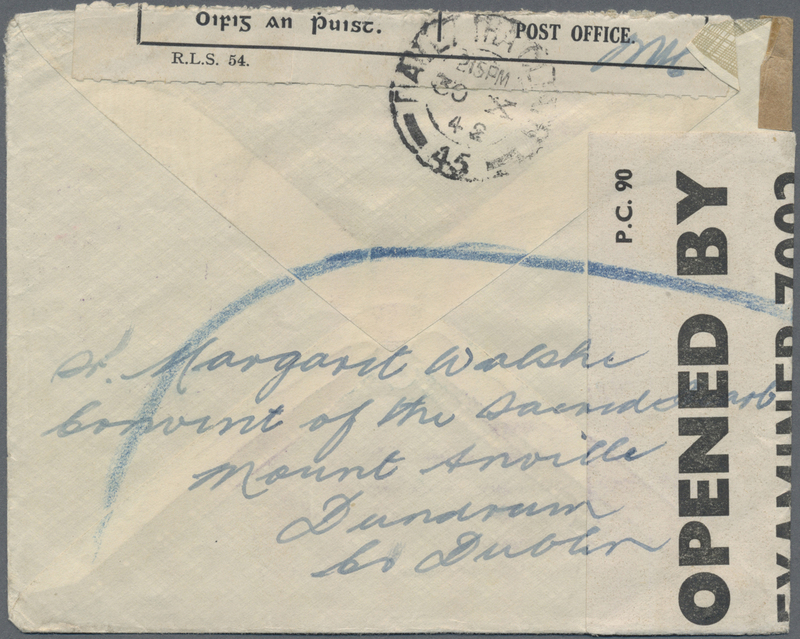 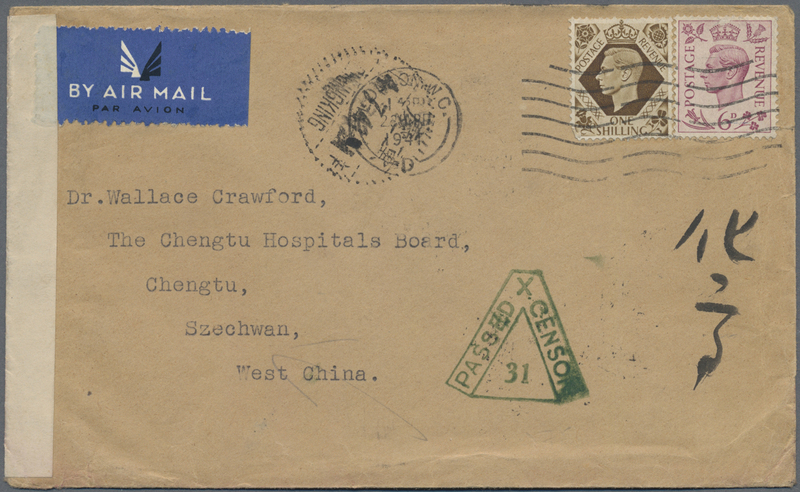 6688 Brief (cover) 1940, Canada, 5 C. franking tied "QUEBEC JAN 12 40" to cover to Shanghai, canadian censor tape tied "OTTAWA JAN 19 40", Shanghai arrival Feb. 10. 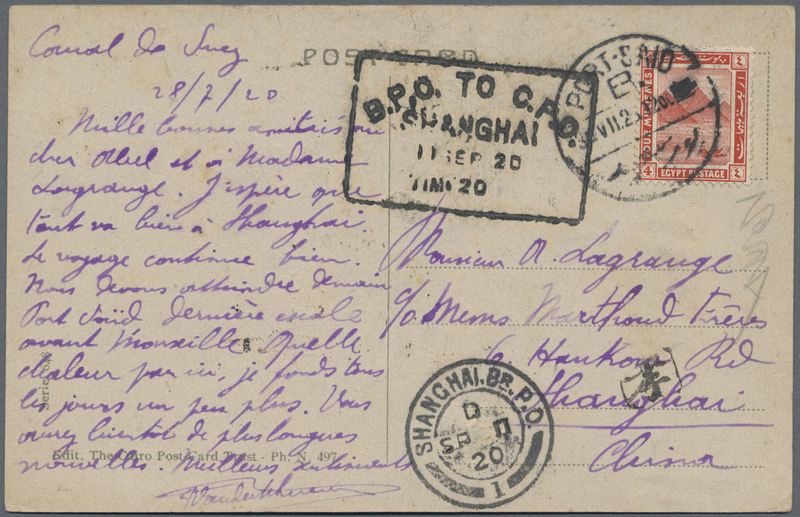 6690 Ganzsache (Complete) 1927, Mexico, card 2 C. uprated 2 C.used "MEXICO 25 MR 27" to Shanghai, boxed "INCONNU/Unknown", on reverse red "SHANGHAI 23.8.27" (for return mails only), machine transit "CANTON" etc., card two tears (backed). 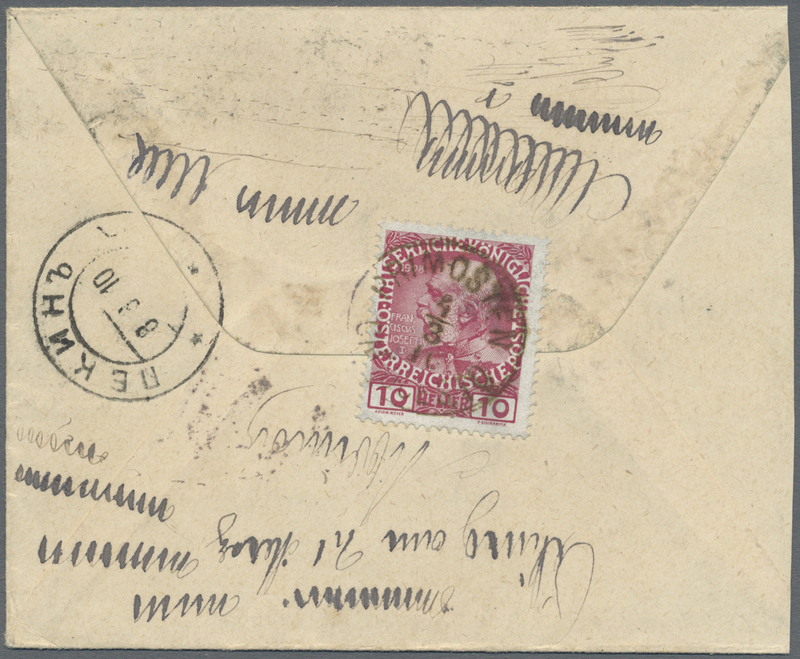 6691 Brief (cover) 219 etc. 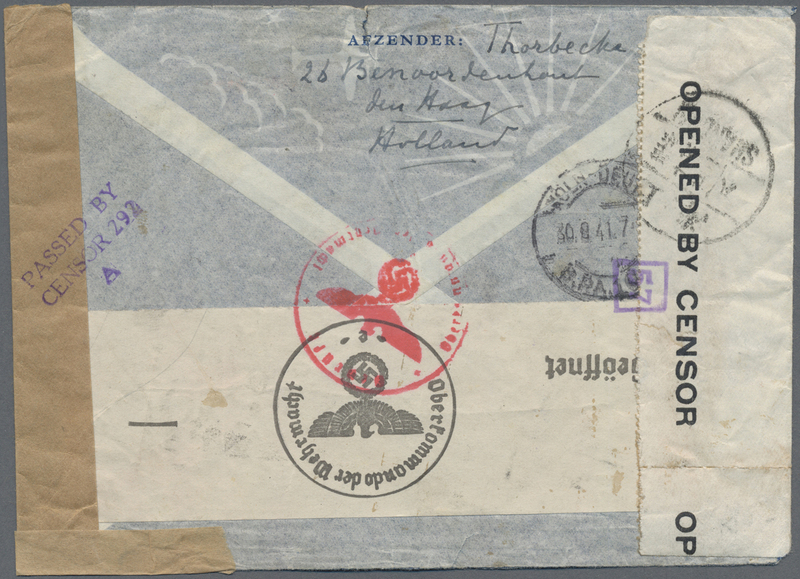 1929, boxed bilingual "AT SENDER'S RISK" (Manchuria railway route insecure due to Sino-Soviet armed conflict on CER) on registered cover w. on reverse 25 C. franking tied "TIENTSIN 2.12.29" to Switzerland w. arrival "ZÜRICH 24 XII 29". 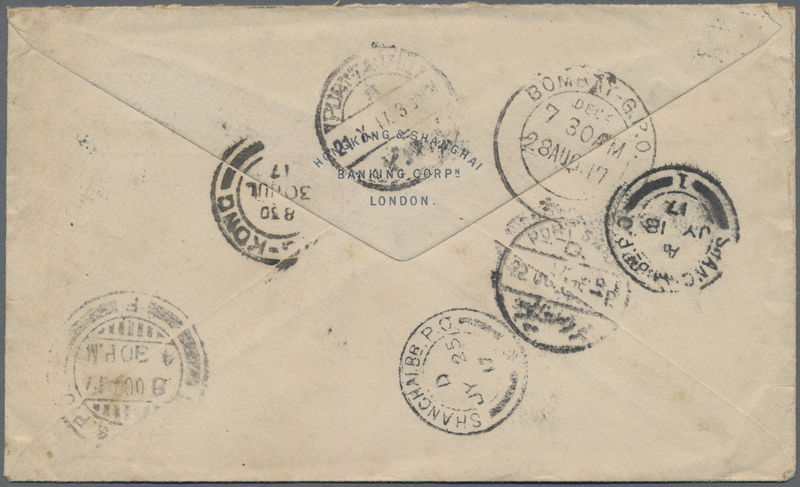 Cover bit reduced on top. 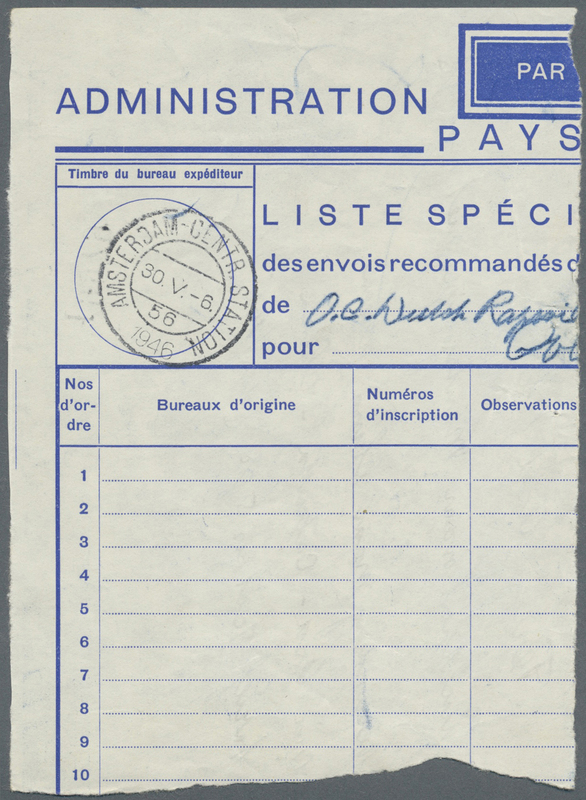 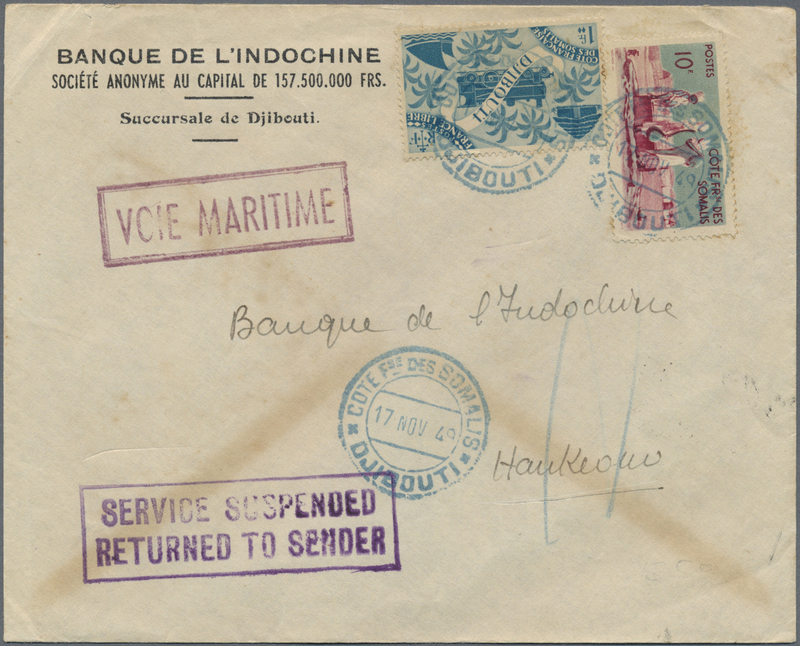 6693 Ganzsache (Complete) 1936, Mauritius, very rare provisional registration envelope KGV 20 C. uprated same canc. 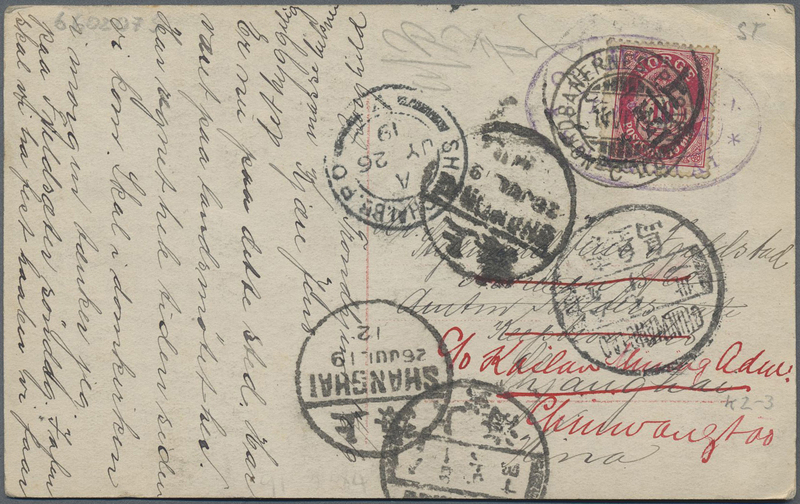 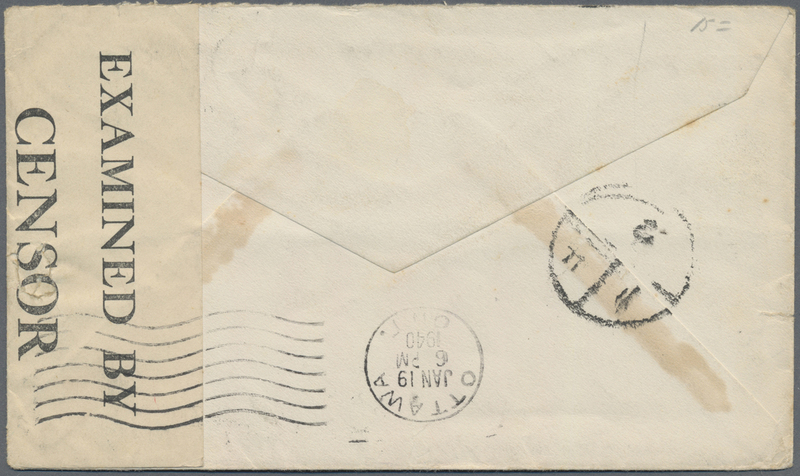 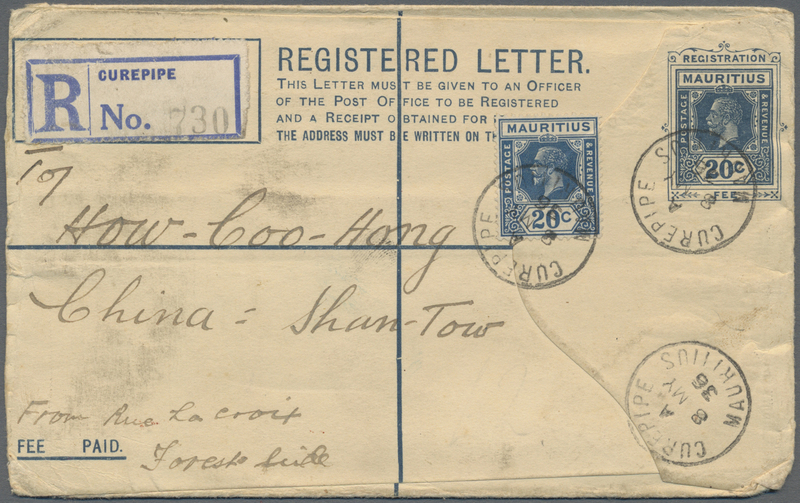 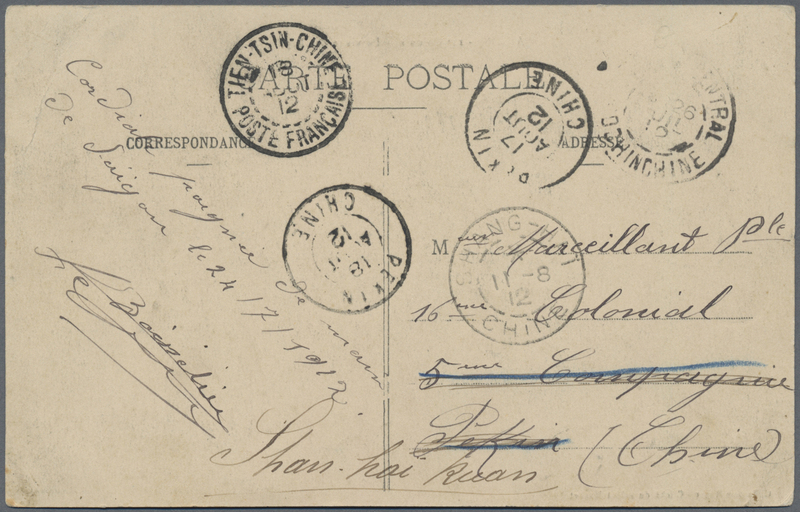 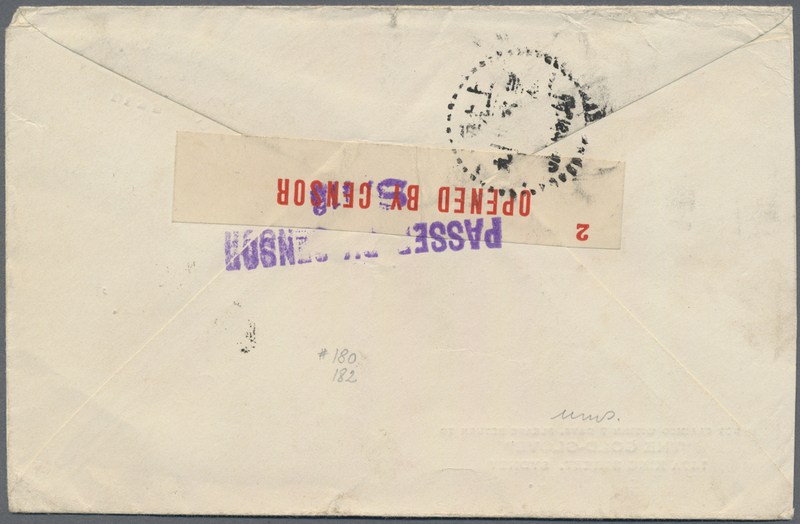 "CUREPIPE 8 MY 36" to Kwangtung province Shantou, backstamps Canton and Shantou. 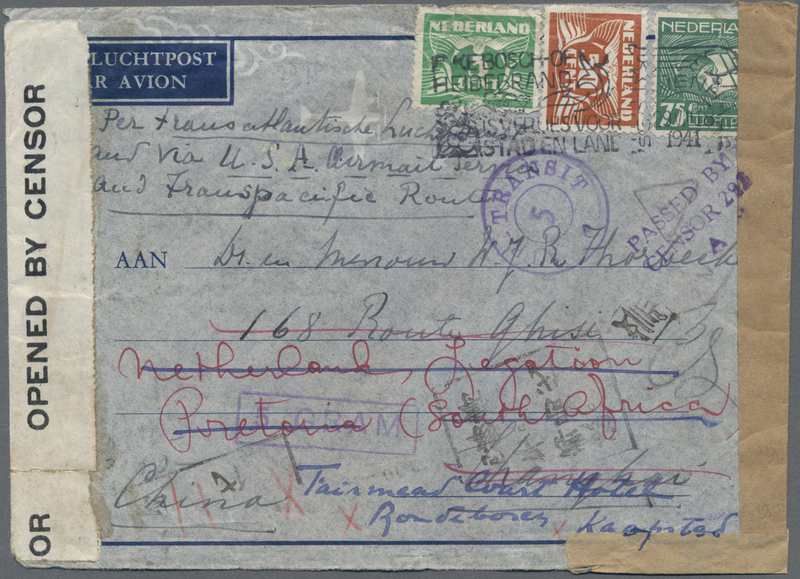 6694 Ganzsache (Complete) 1937, South Rhodesia card 1/2d uprated 6d, 4d for foreign airmail tied "MARANDELLIS 30 NOV 37" to Tientsin, German School, very unusual origin. 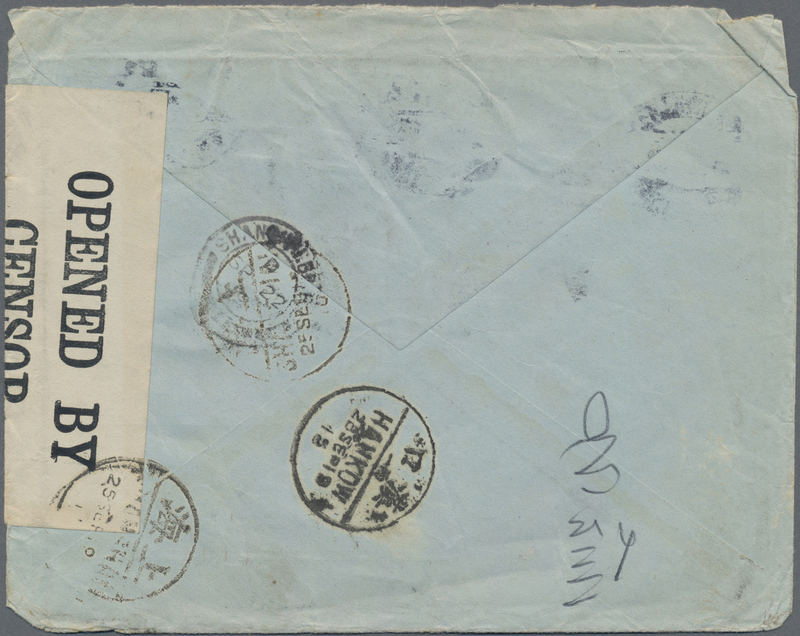 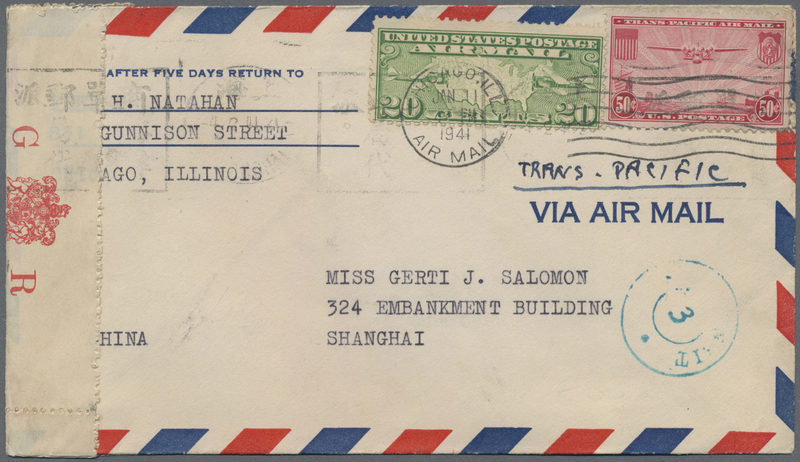 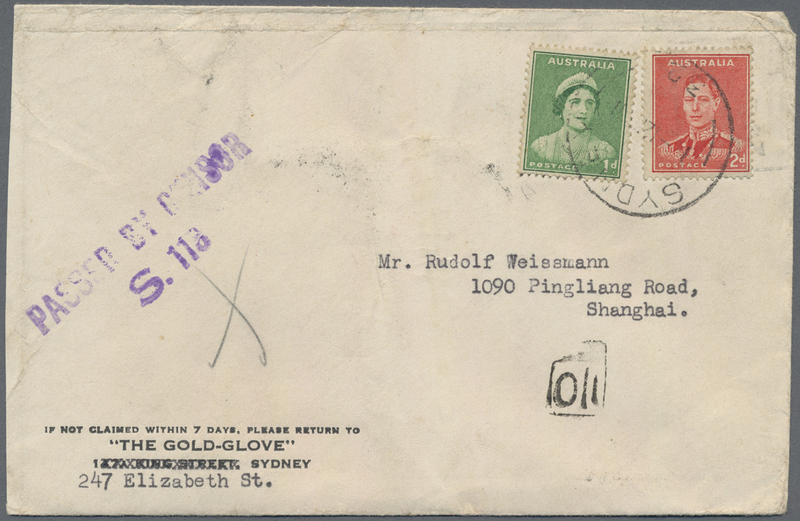 6695 Brief (cover) 1941, Australia, 3d frank tied "Sydney 1-6 41" to cover to Shanghai, australian censortape and tie-mark, Shanghai June 20 arrival. 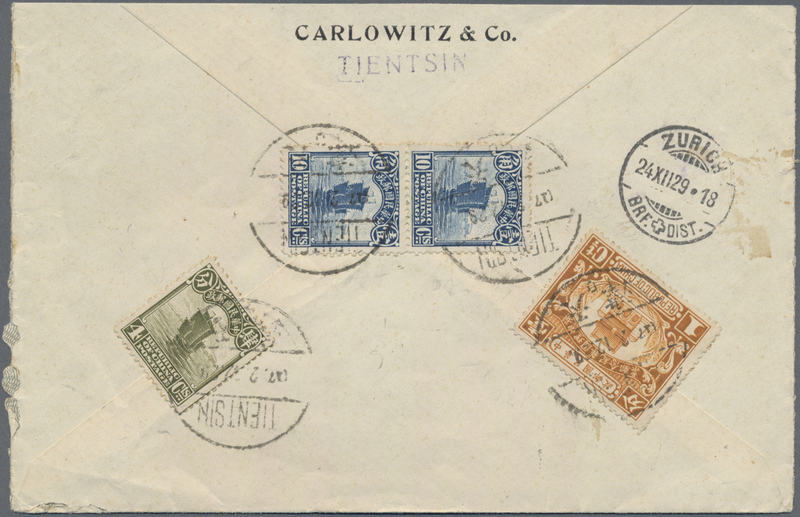 6704 Brief (cover) 1948, Germany 50 Pf. 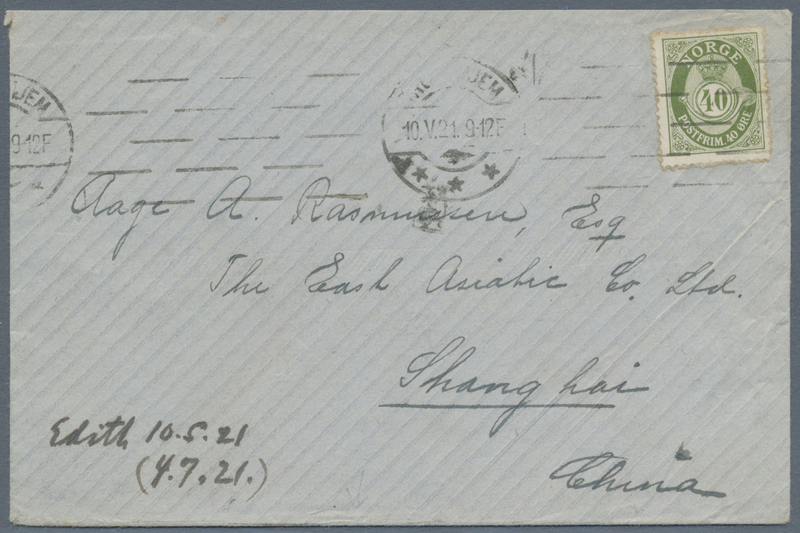 tied "HEIDELBERG-ROHRBACH 27.2.48" to Peiping with Shanghai and Peiping (N.O. 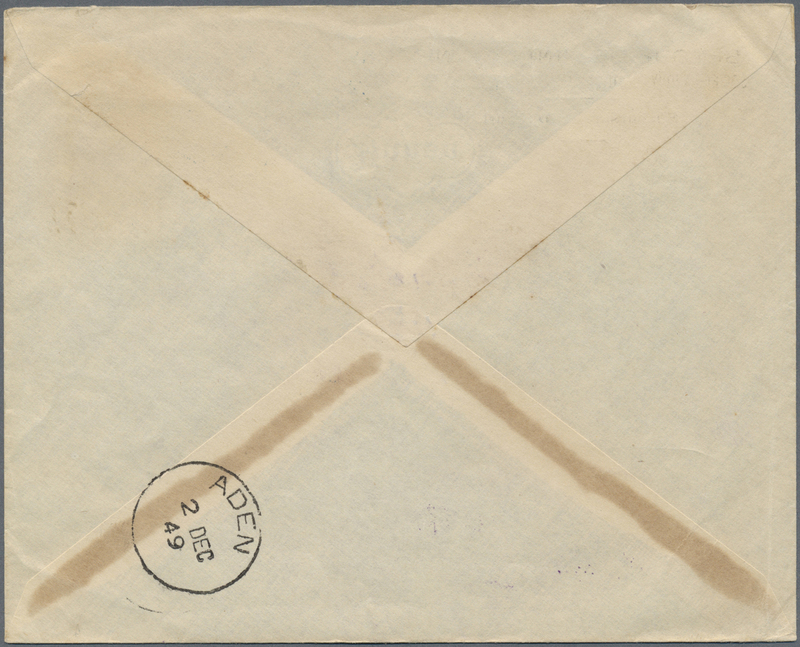 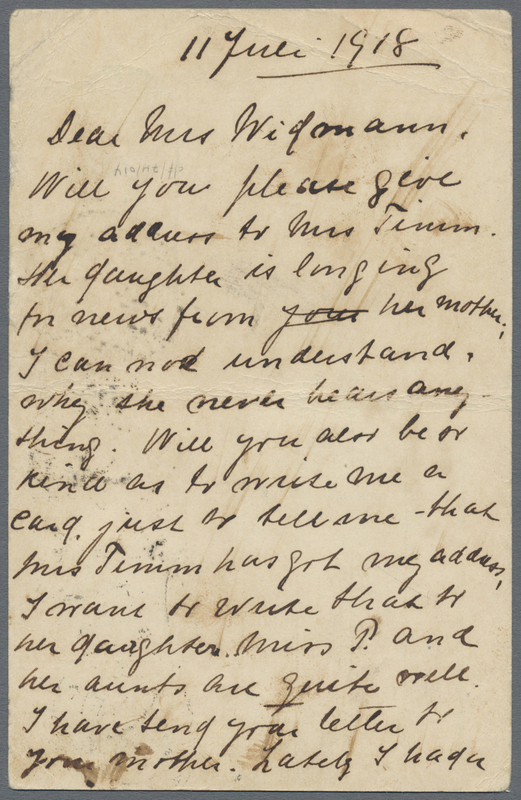 1) backstamps, label "Unknown, return to sender.". 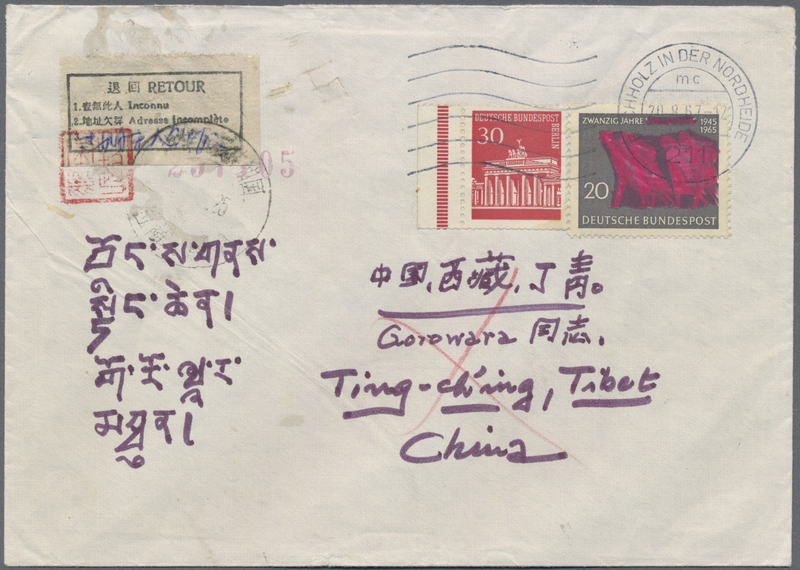 6706 Brief (cover) 1967, envelope addressed to Tibet bearing Michel Michel 479, 20 Pf. 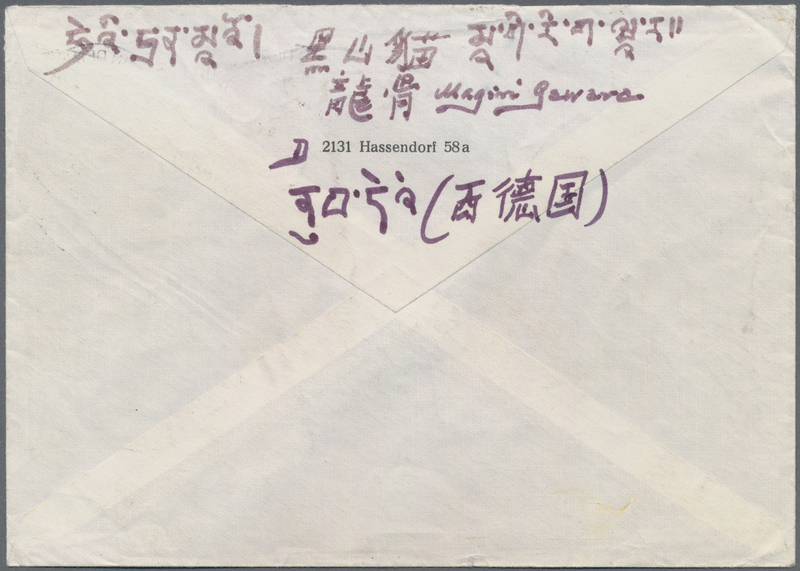 and a definitive 30 Pf., tied by "BUCHHOLZ IN DER NORDHEIDE" Machine cancel, envelope returned due to non-claimant, bearing a label of retour tied with a "LHASA" postmark. 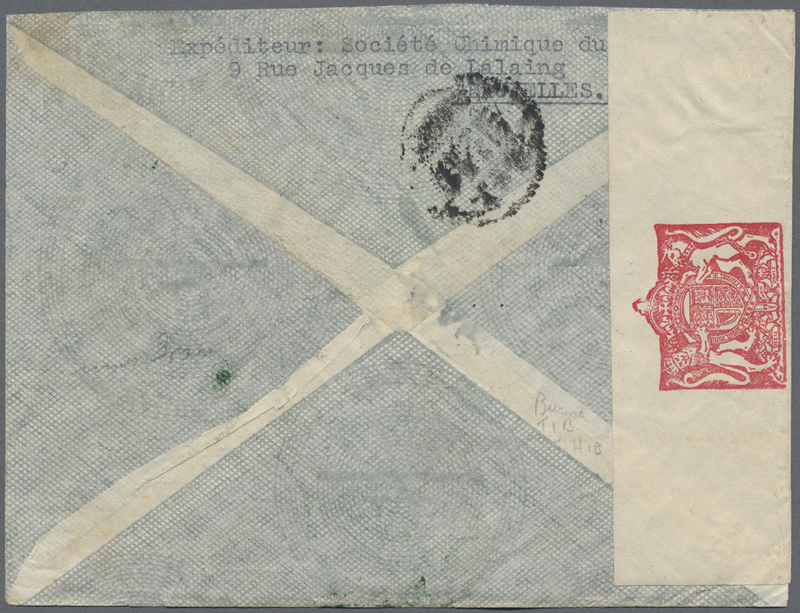 6707 Brief (cover) 1901, boxer uprising, Austria Navy Mails, crested official mail form endorsed "Feld-Post" and marked s.-l. "FRANCO" canc. 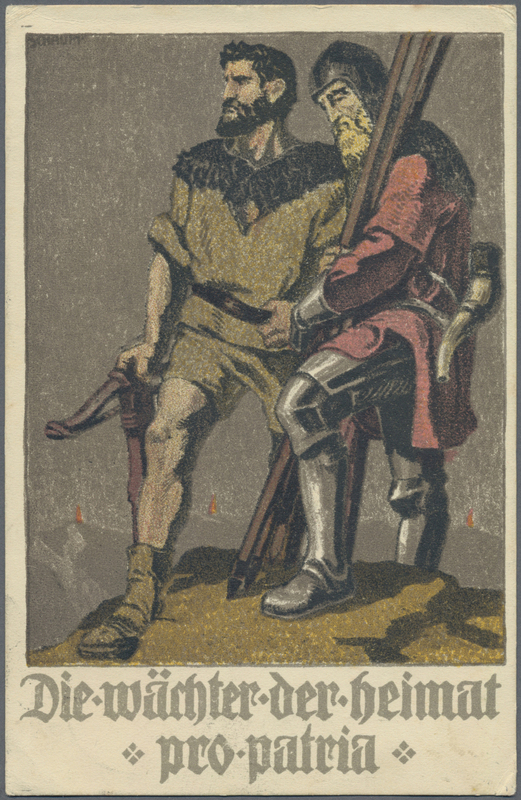 "Imp.&Roy. 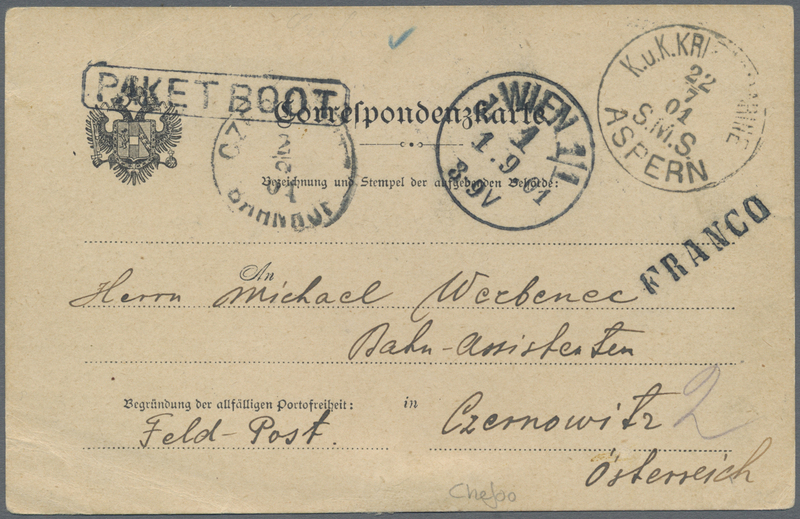 Navy Mails SMS Aspern 22/7 01" and framed "PAKET BOOT" (scarce), via Vienna to Czernowitz w. Sept. 2 arrival, long text, Chefoo 21/7/01 dateline.